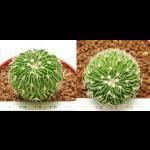 Detail:: Coryphantha elephantident ราคา 450.- high=10.5cm. 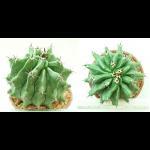 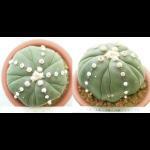 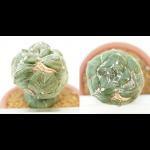 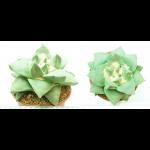 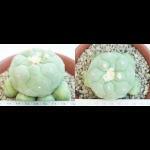 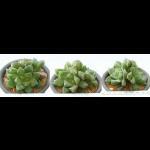 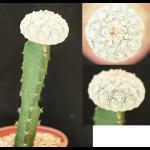 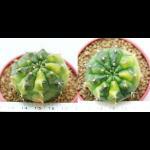 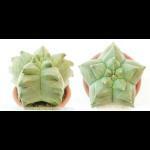 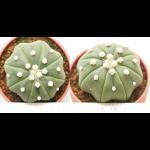 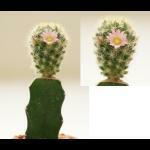 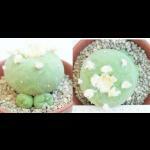 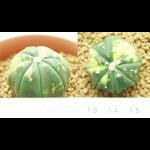 Detail:: Astrophytum hybrid kiko ราคา 1,500.- high=6cm. 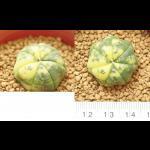 Detail:: Astrophytum asterias nudum variegata high=12.5cm. 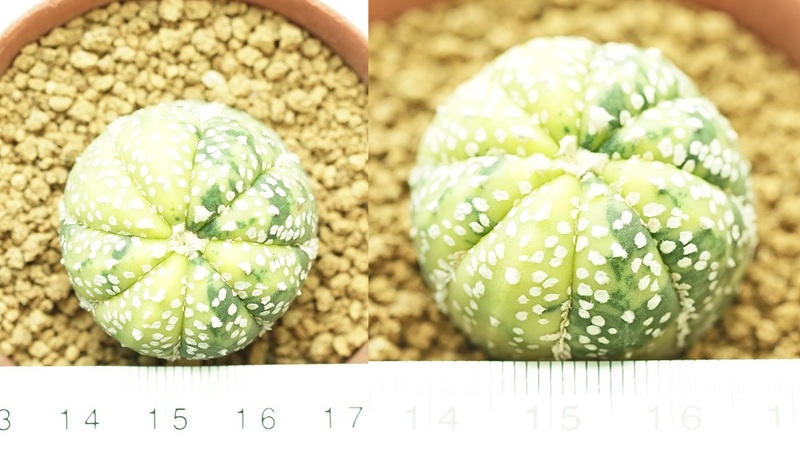 Detail:: Astrophytum asterias nudum variegata high=11.5cm. 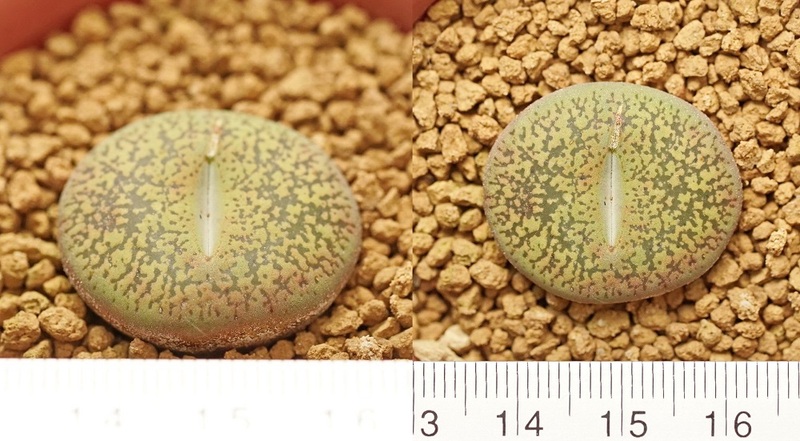 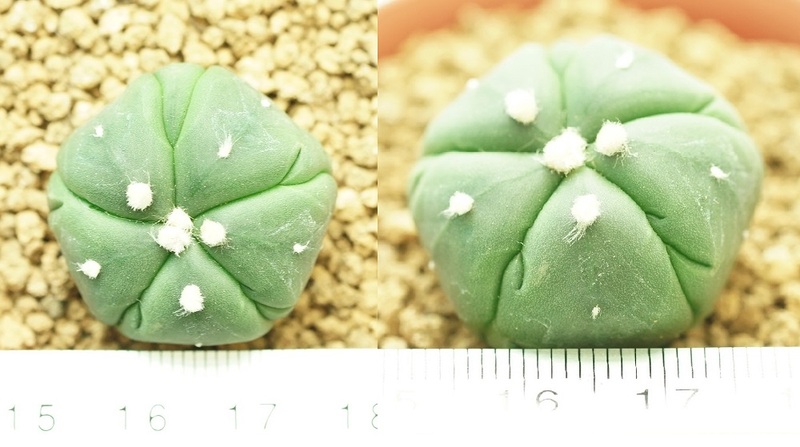 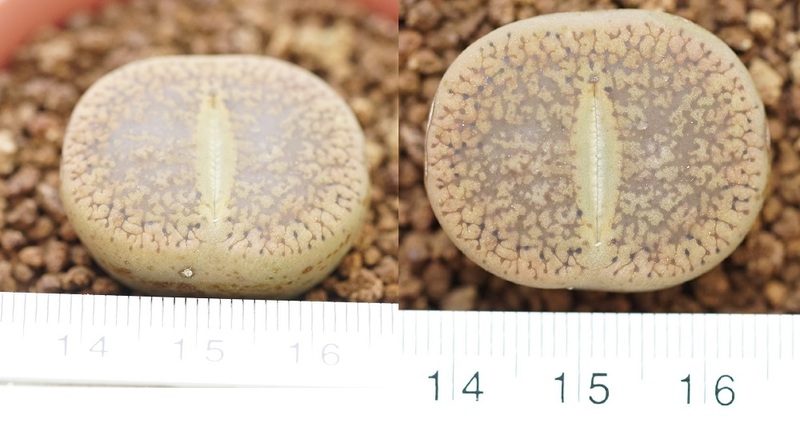 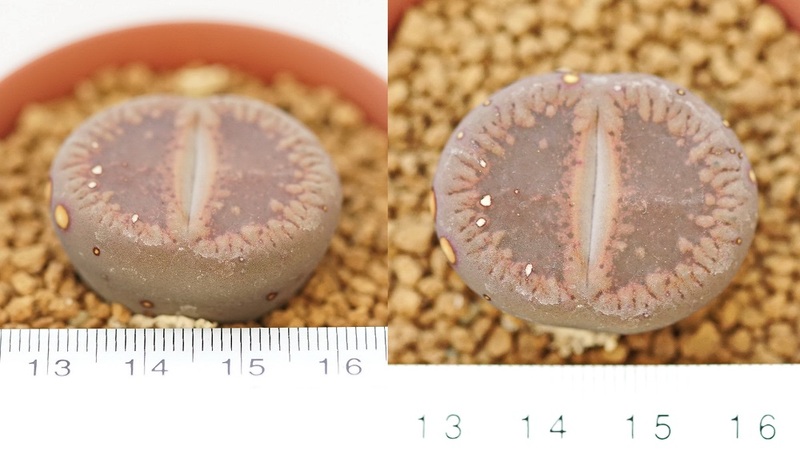 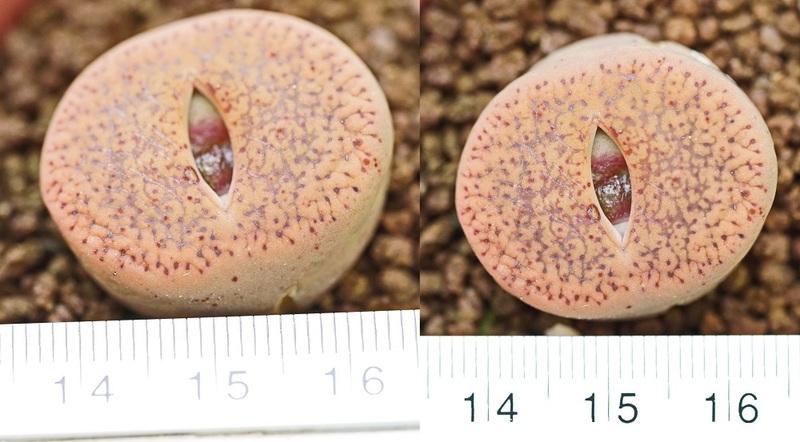 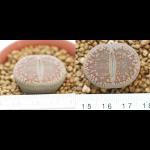 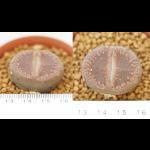 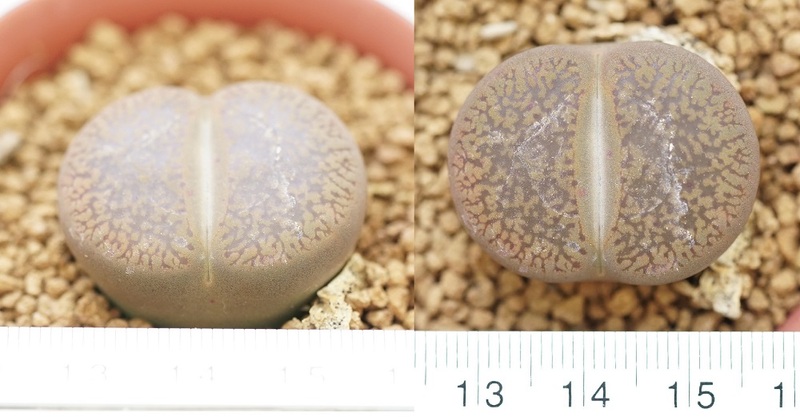 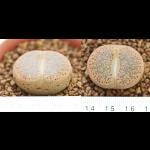 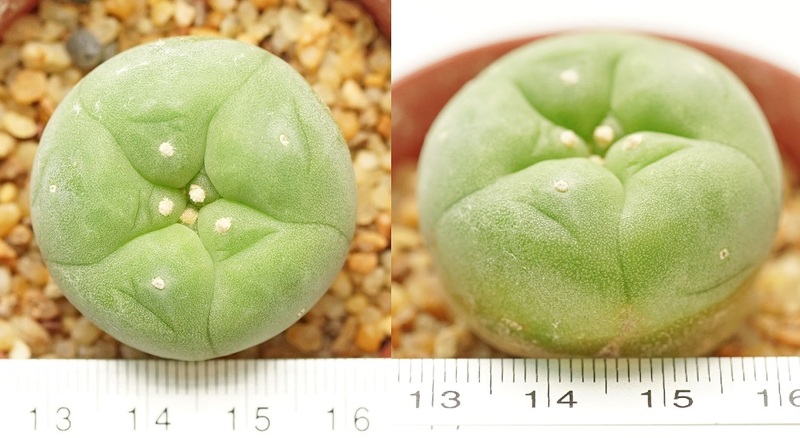 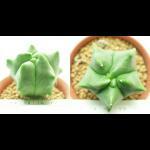 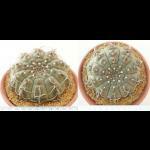 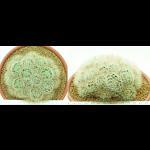 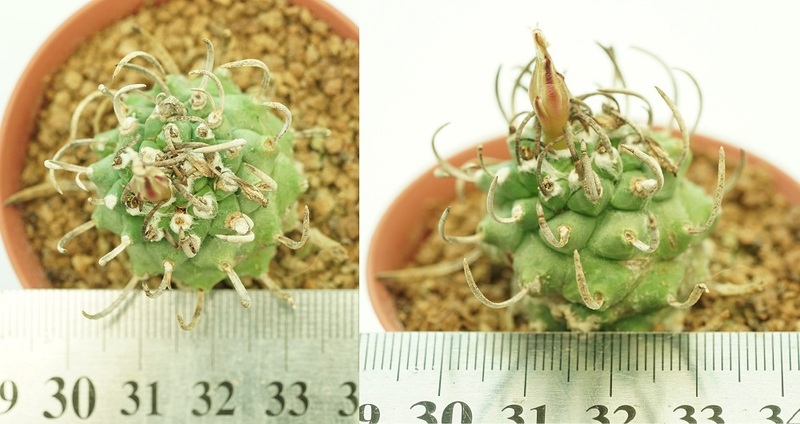 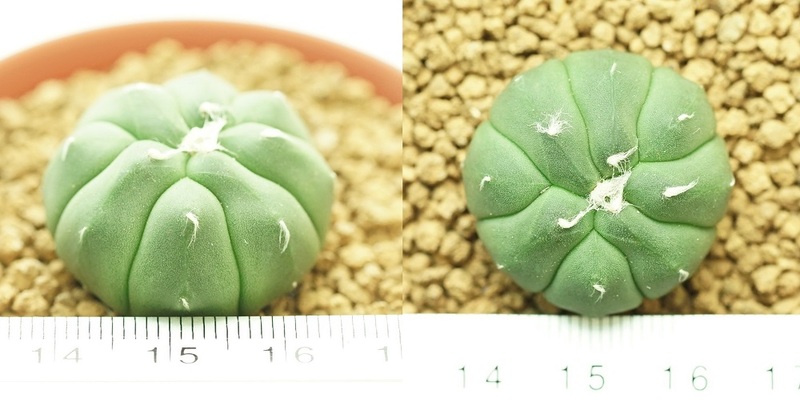 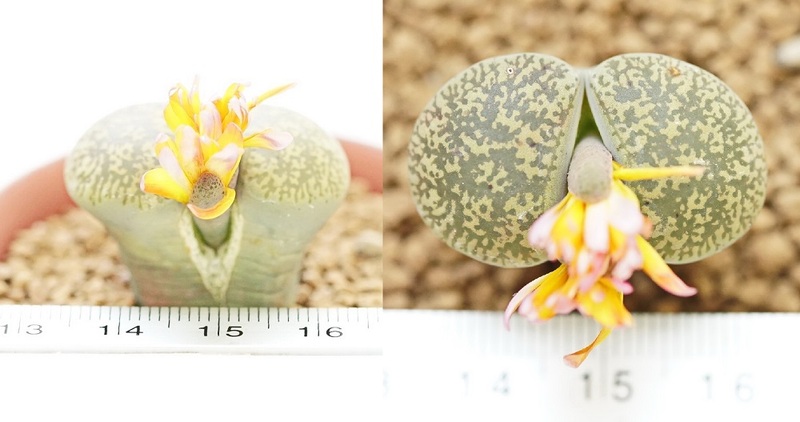 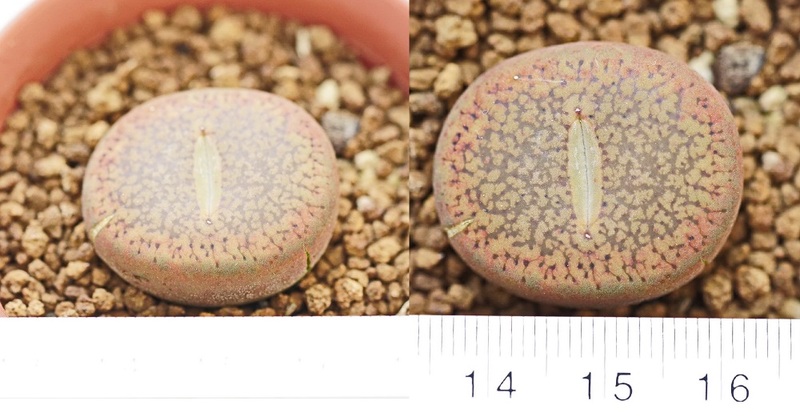 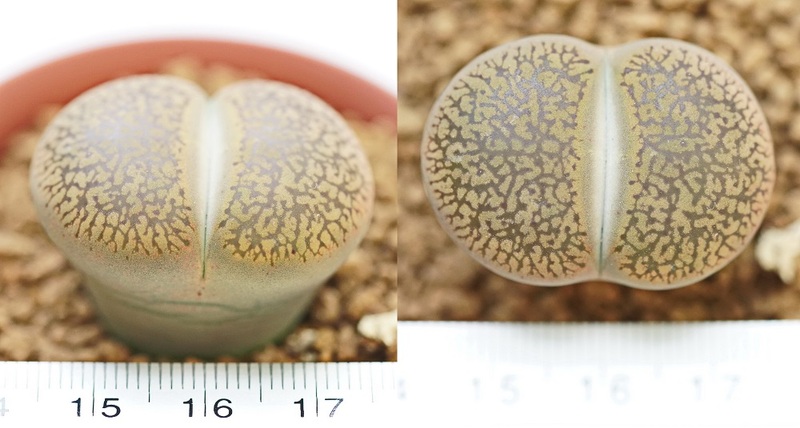 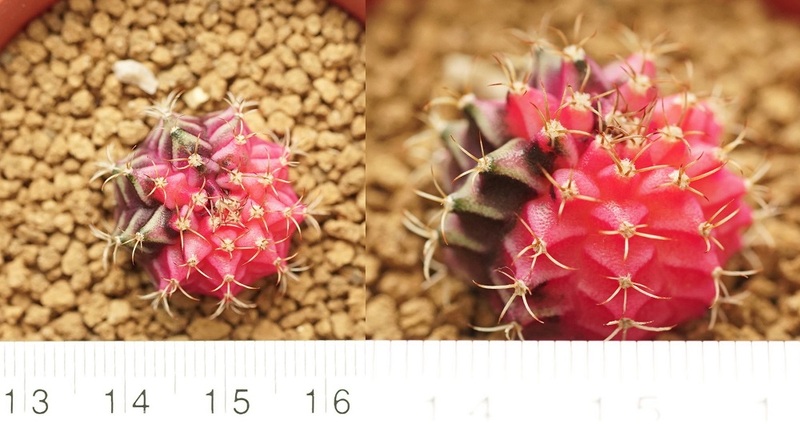 Detail:: Turbinicarpus lavi ราคา 450.- high=11.5cm. 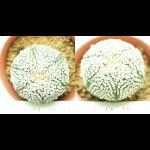 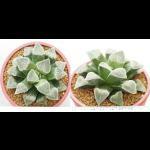 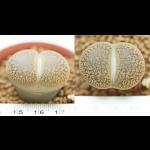 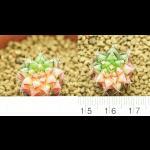 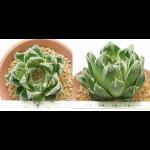 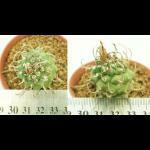 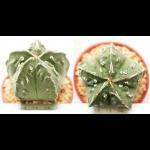 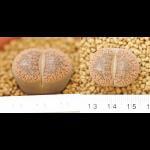 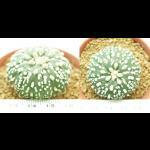 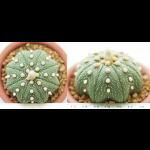 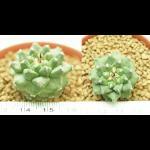 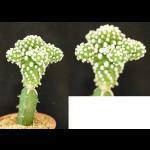 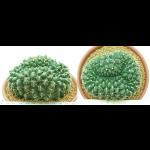 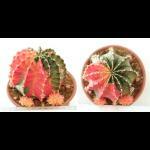 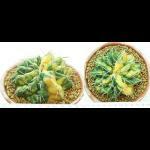 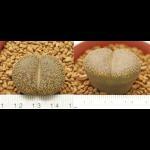 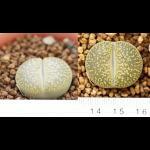 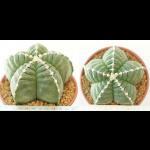 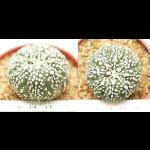 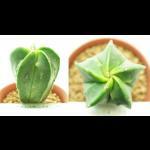 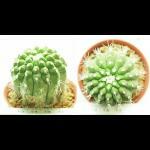 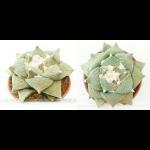 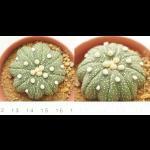 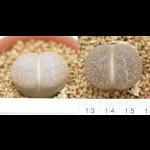 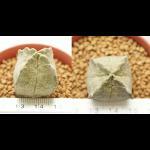 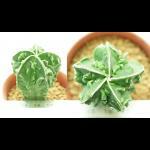 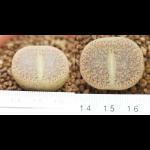 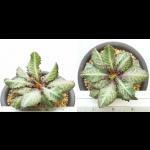 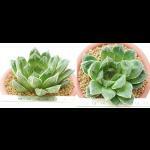 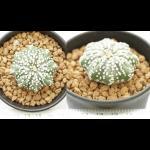 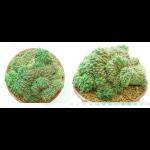 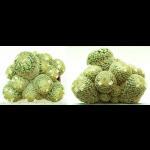 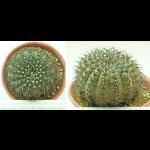 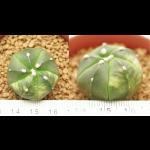 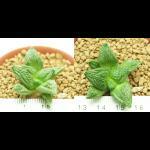 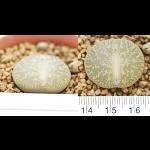 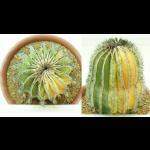 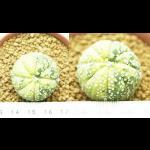 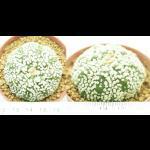 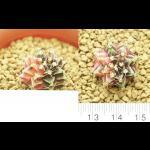 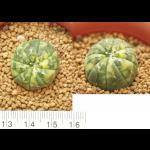 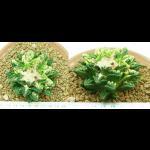 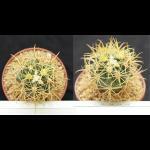 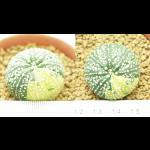 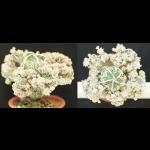 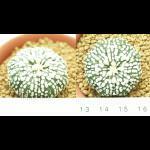 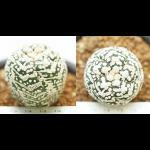 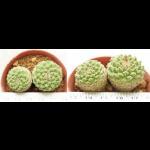 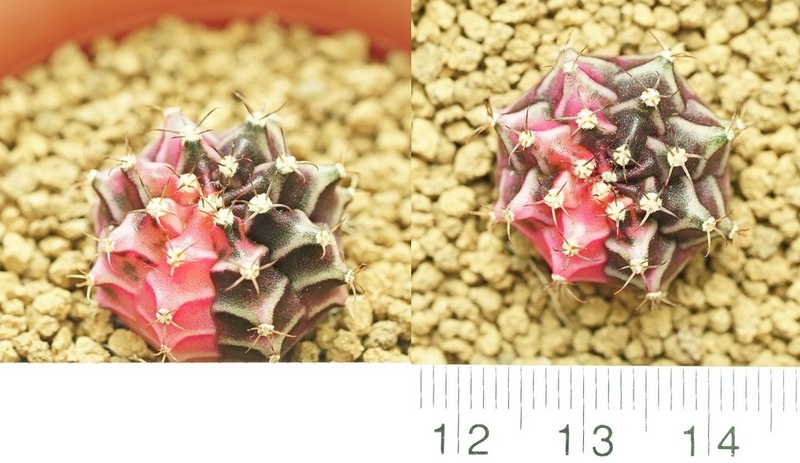 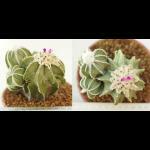 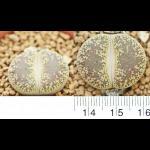 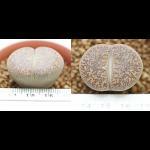 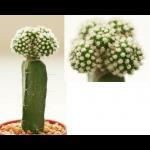 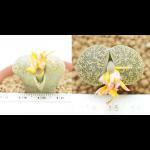 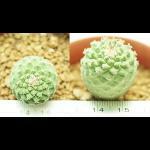 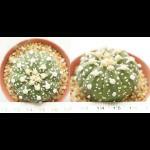 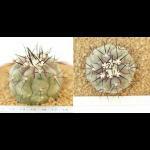 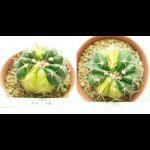 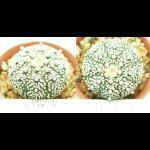 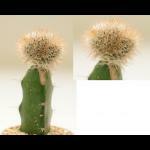 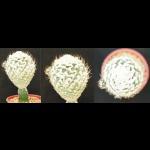 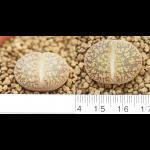 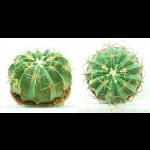 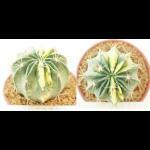 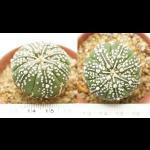 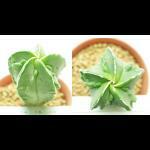 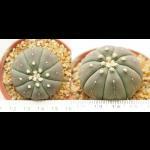 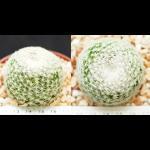 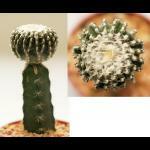 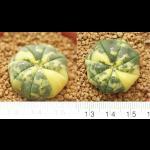 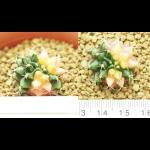 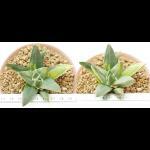 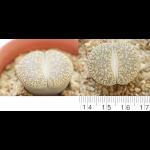 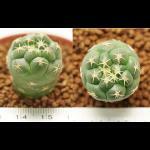 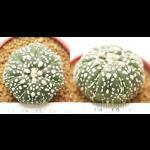 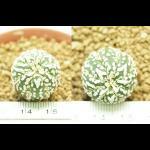 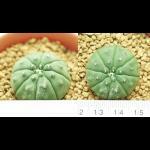 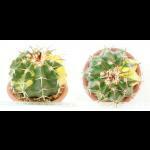 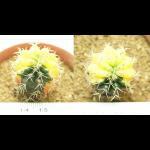 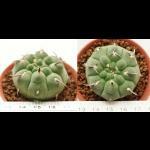 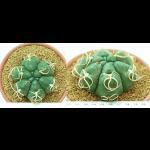 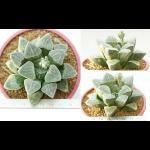 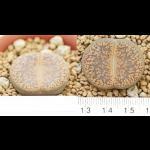 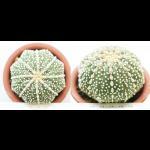 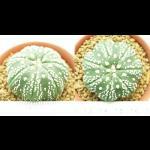 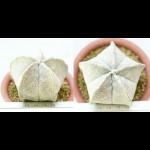 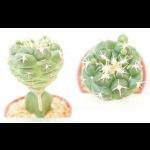 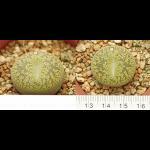 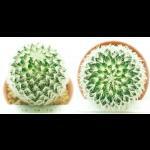 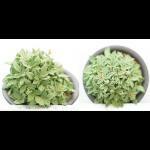 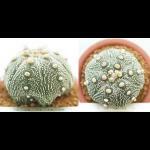 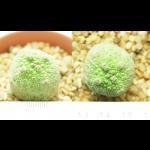 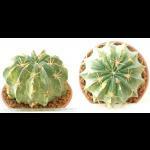 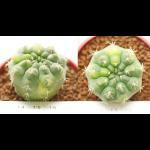 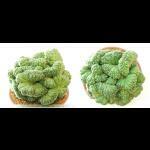 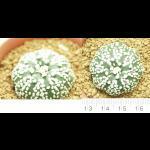 Detail:: Astrophytum myriostigma fukuryu montrose ราคา 3,500.- high=8 cm. 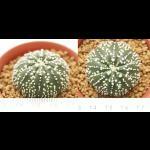 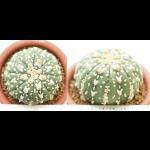 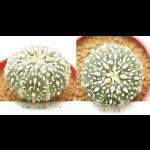 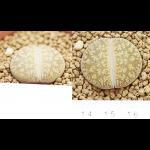 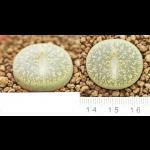 Detail:: Astrophytum asterias super kiko ราคา 800.- high=14cm. 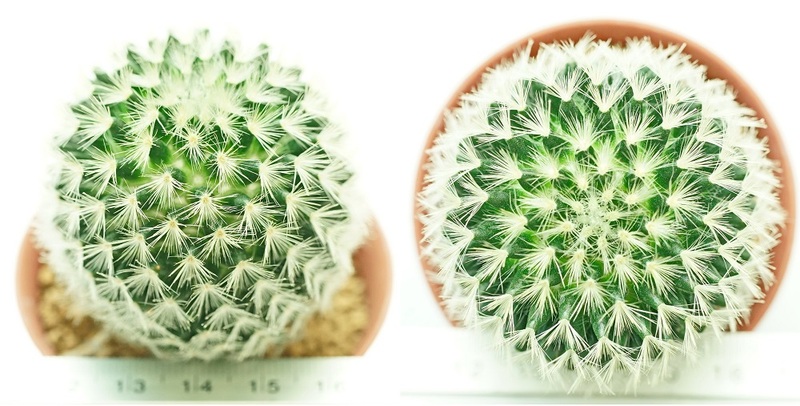 Detail:: Mammillaria garcilis Montrose ราคา 450.- high=11cm. 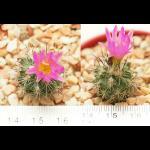 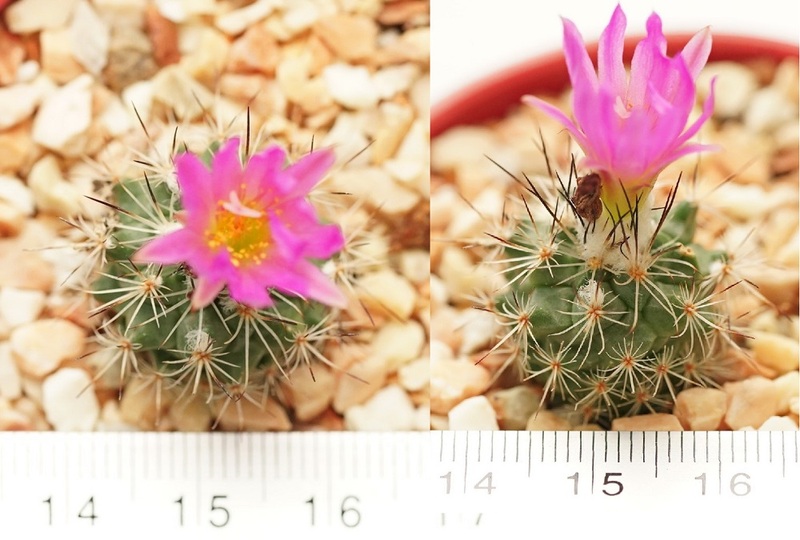 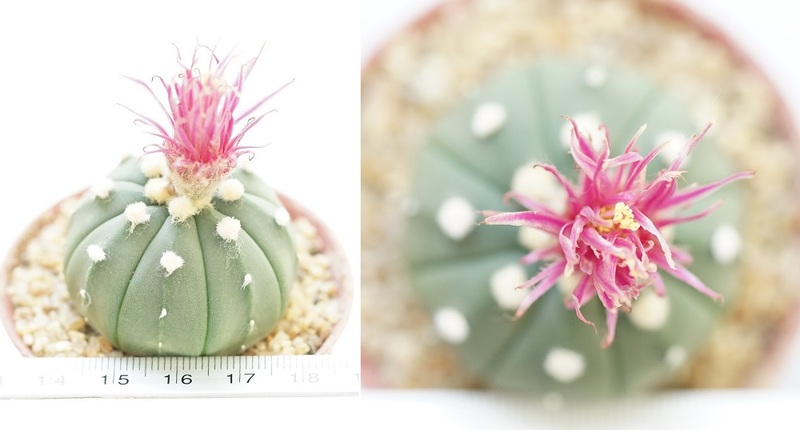 Detail:: Lobivia winteriana ราคา 600.- high=5.5cm. 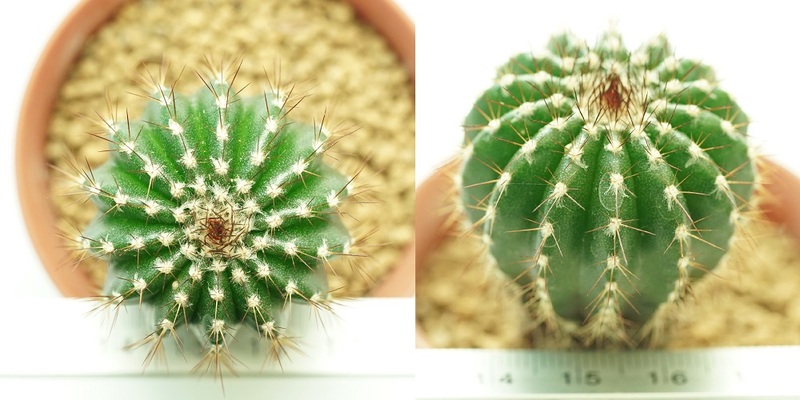 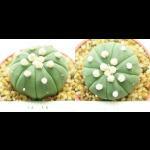 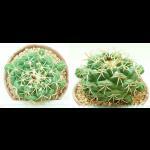 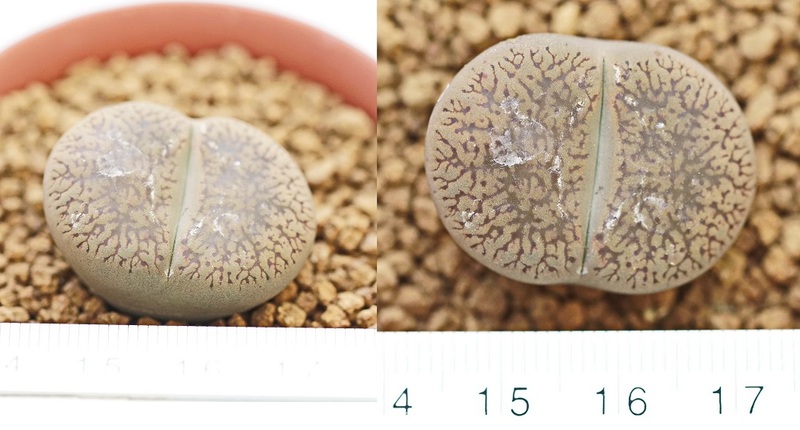 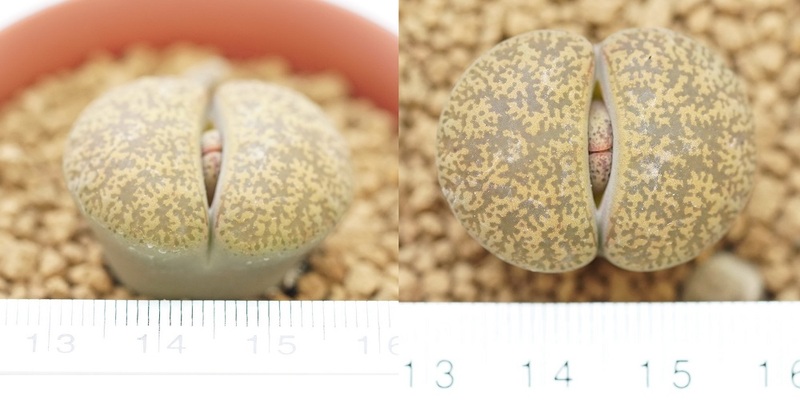 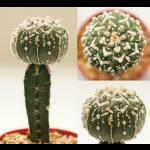 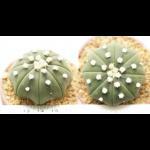 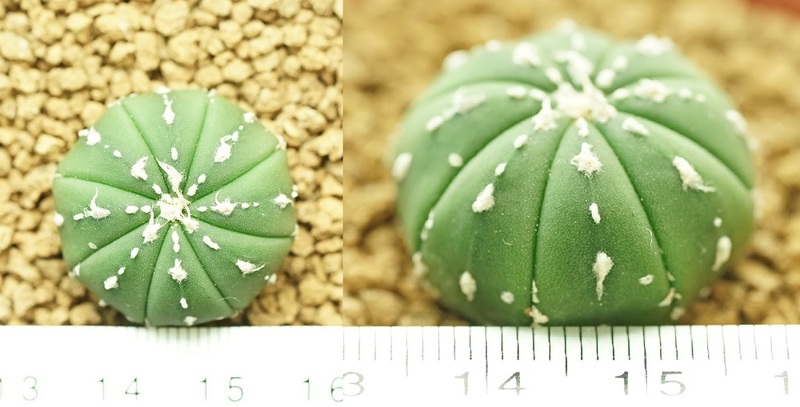 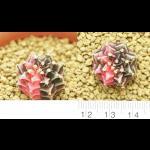 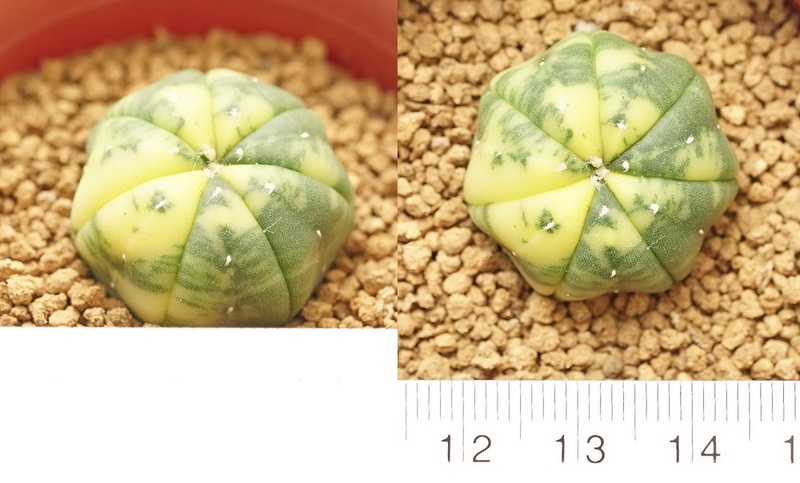 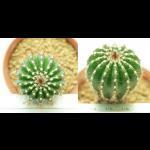 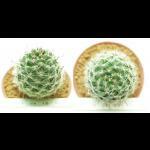 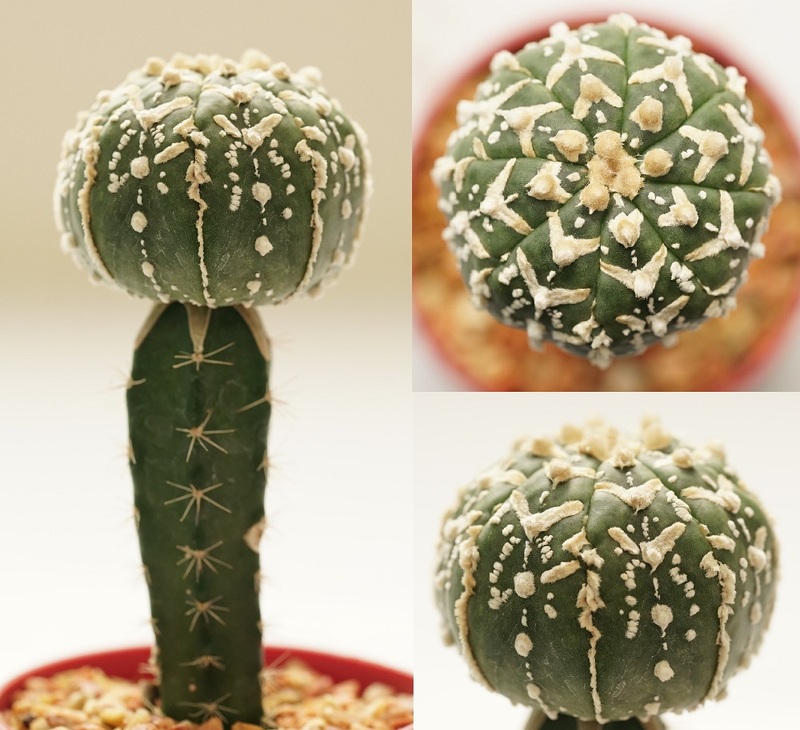 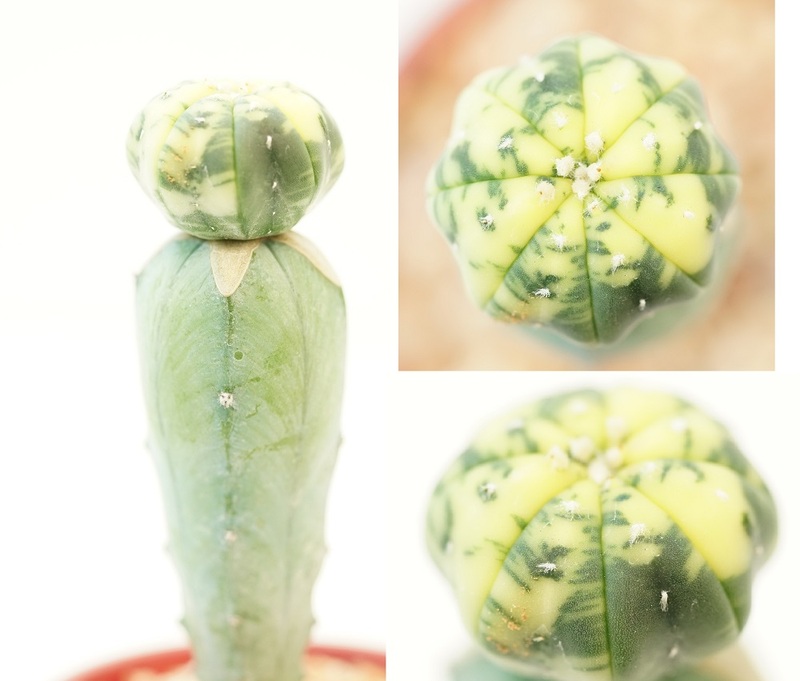 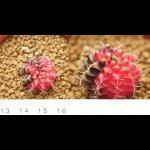 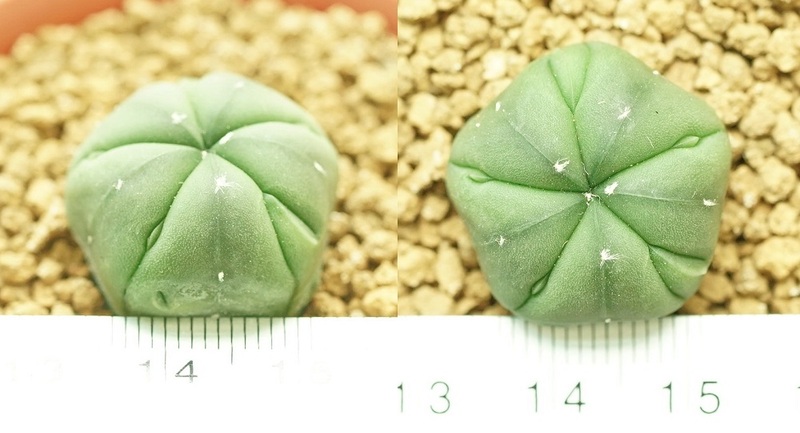 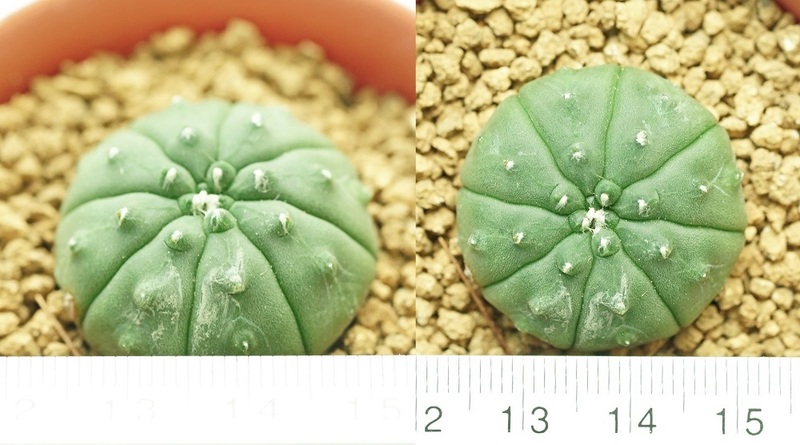 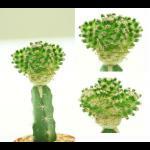 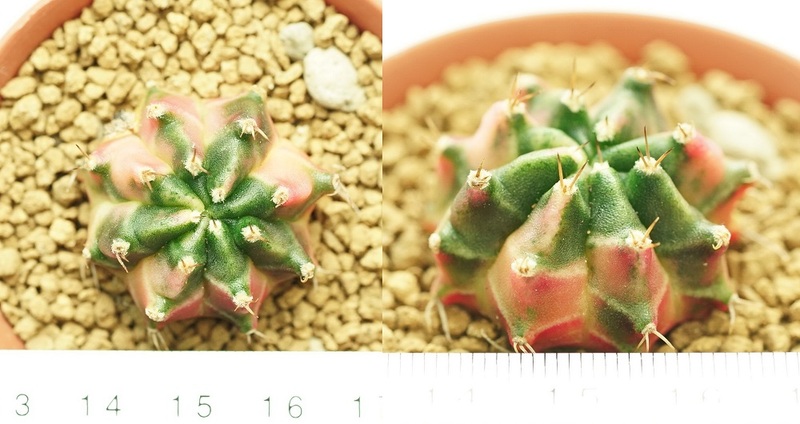 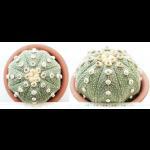 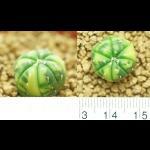 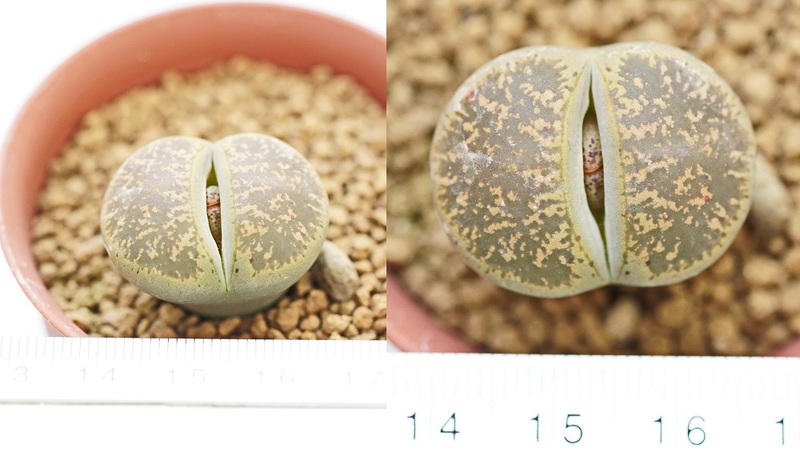 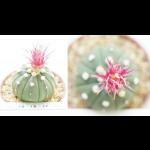 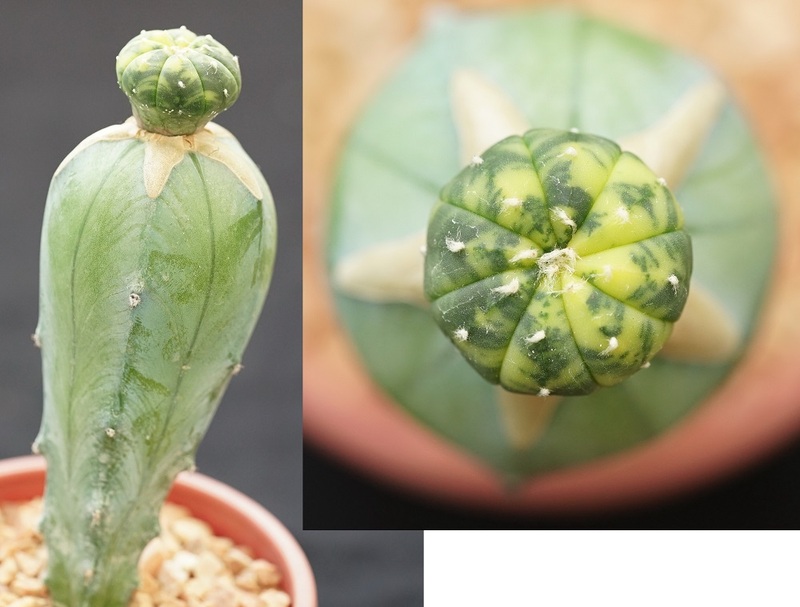 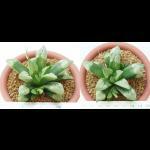 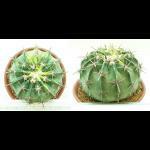 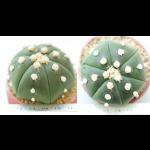 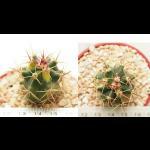 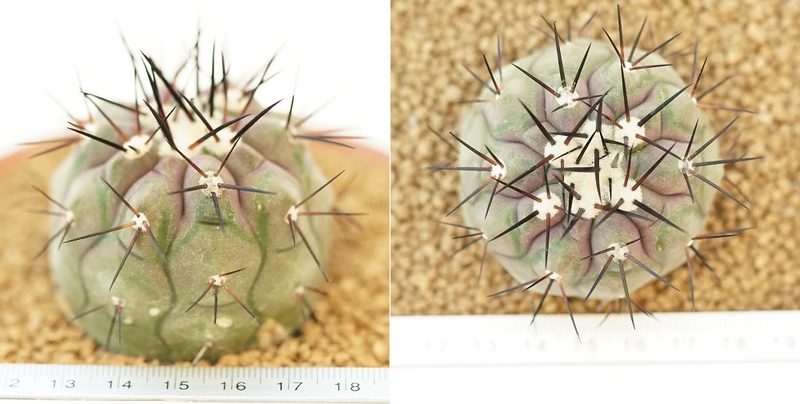 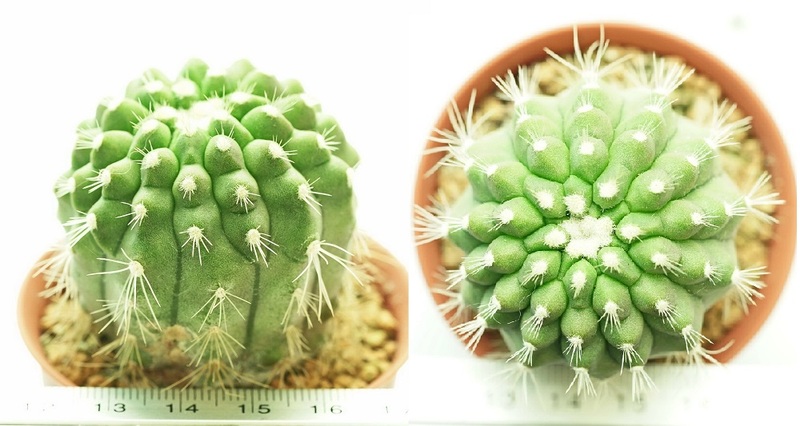 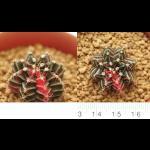 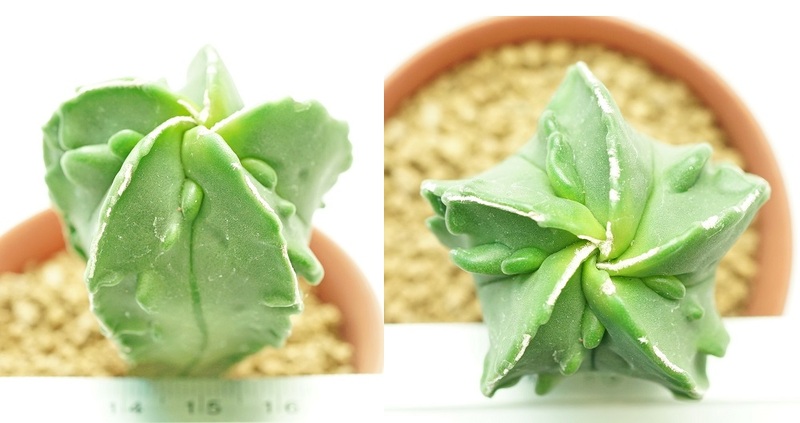 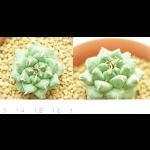 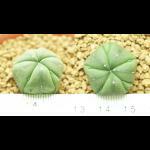 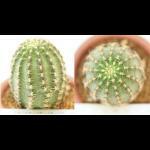 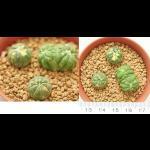 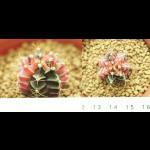 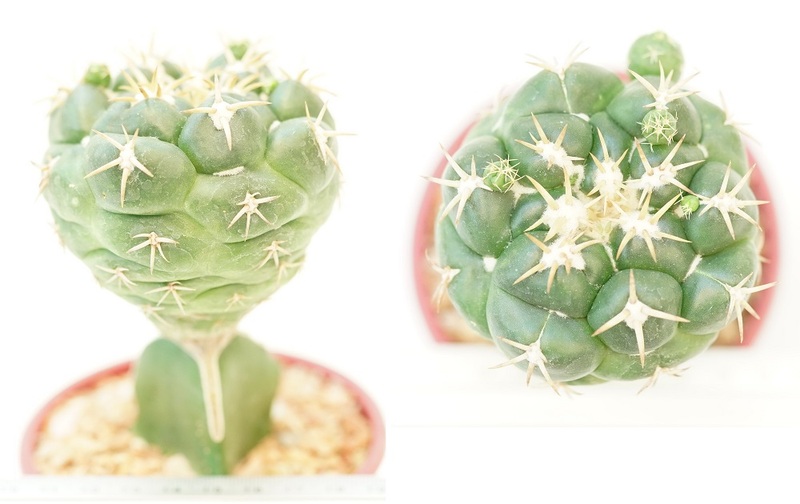 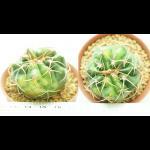 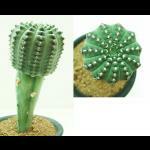 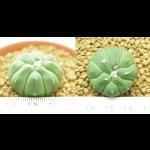 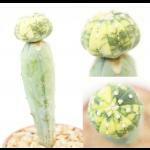 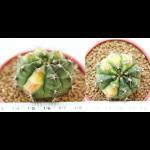 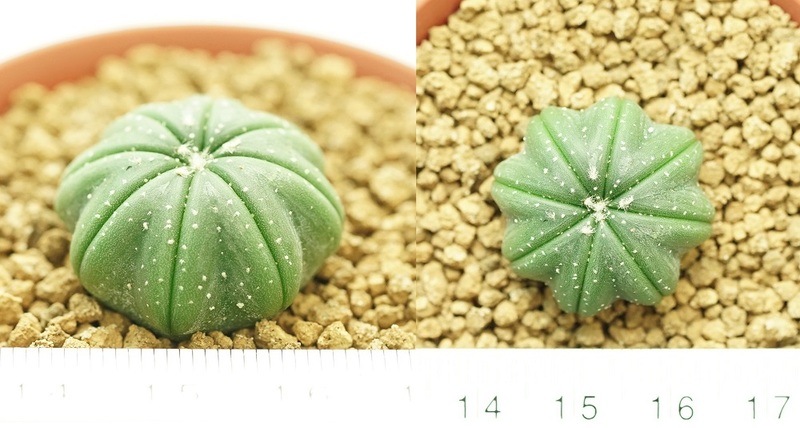 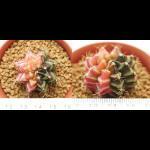 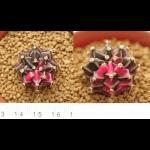 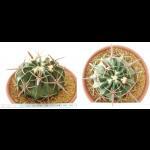 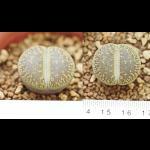 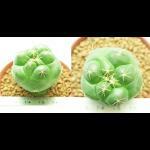 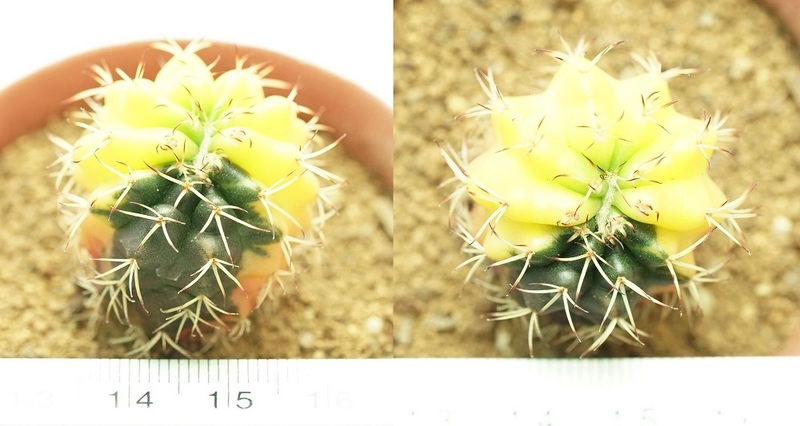 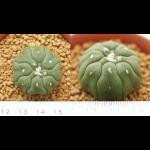 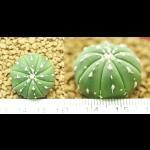 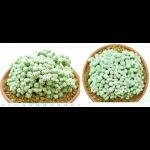 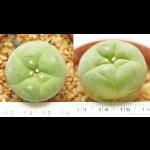 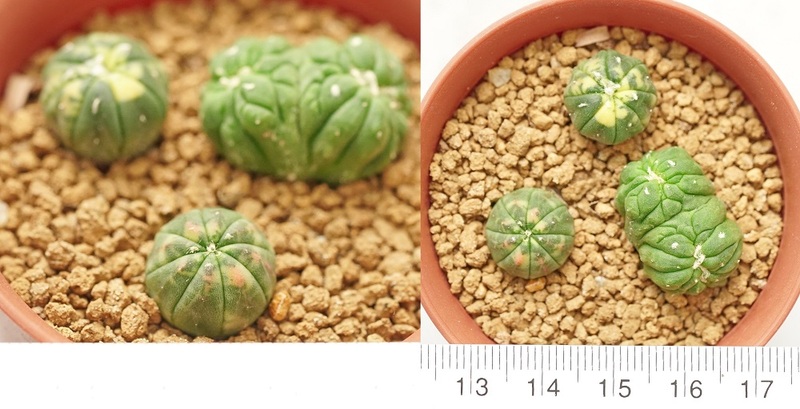 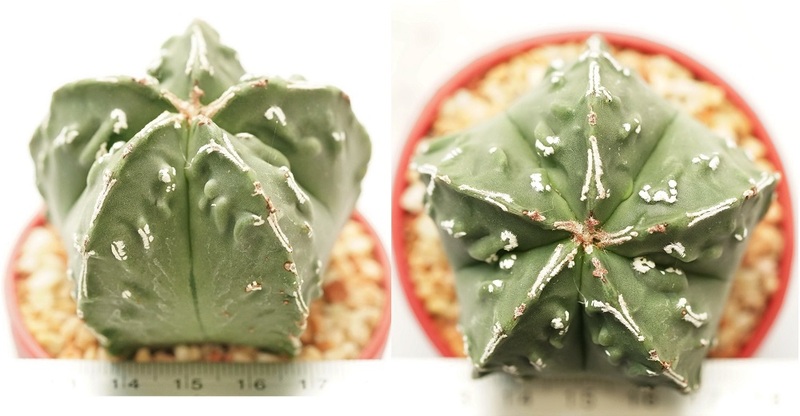 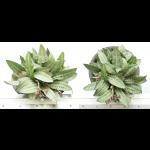 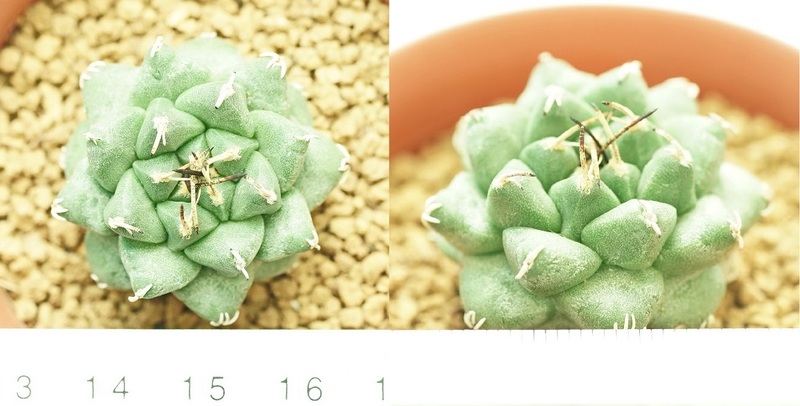 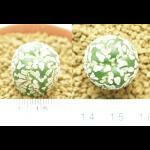 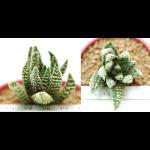 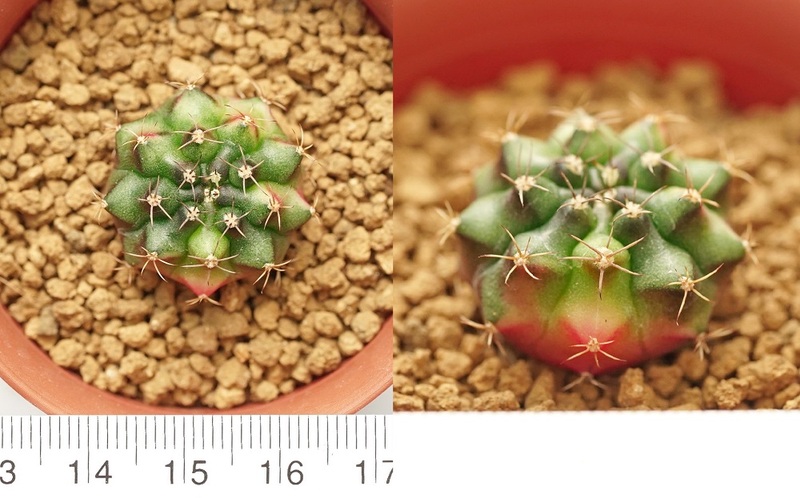 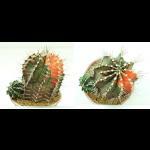 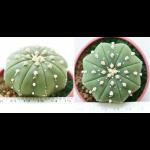 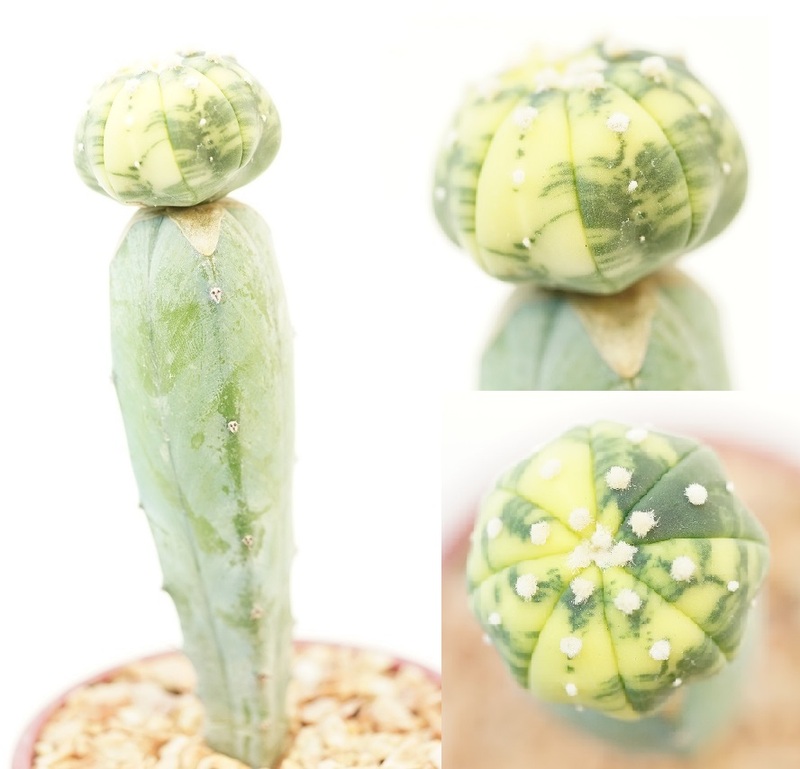 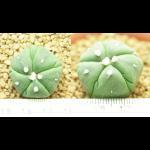 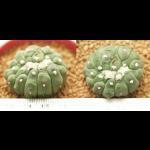 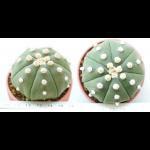 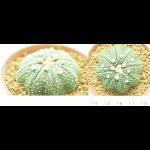 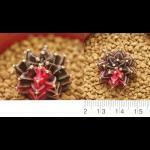 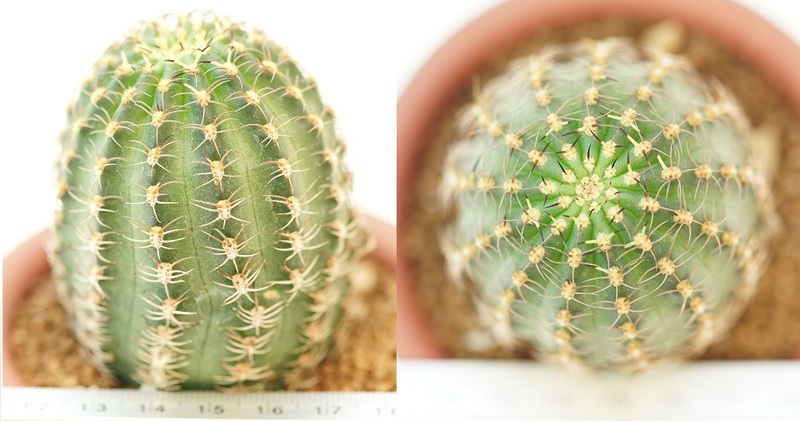 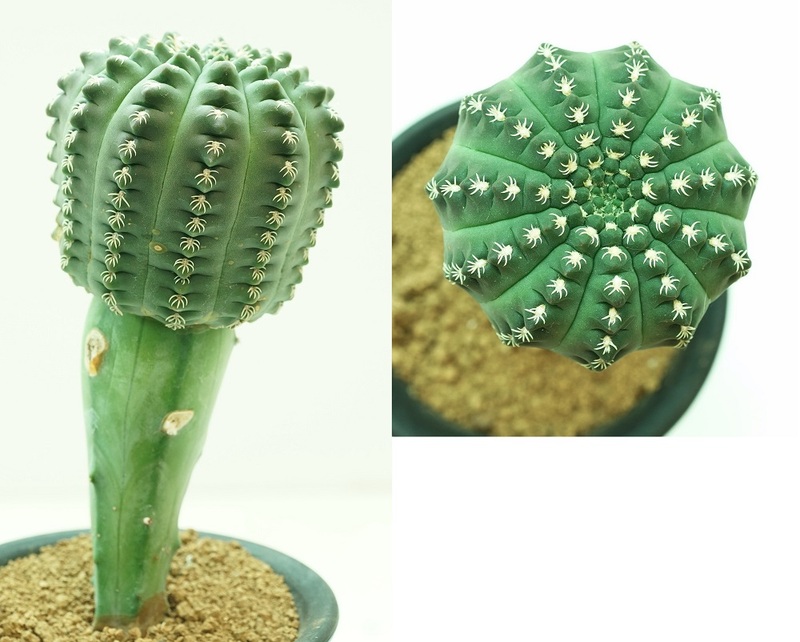 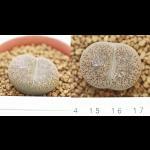 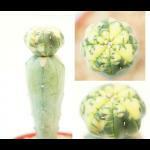 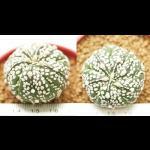 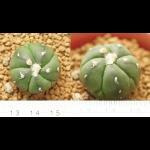 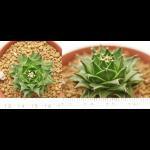 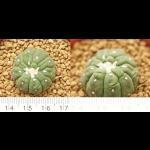 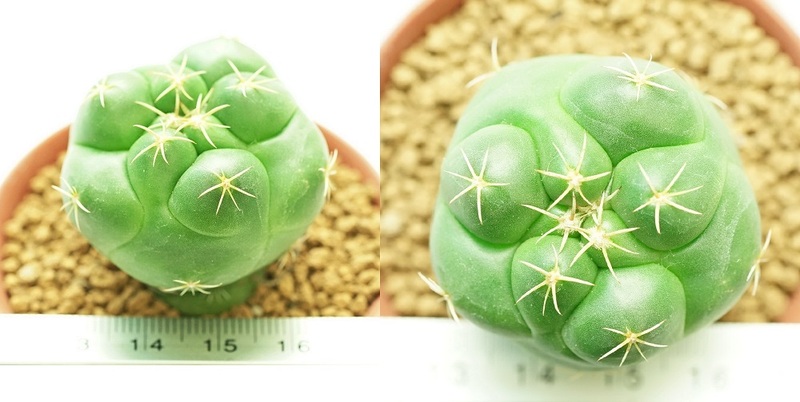 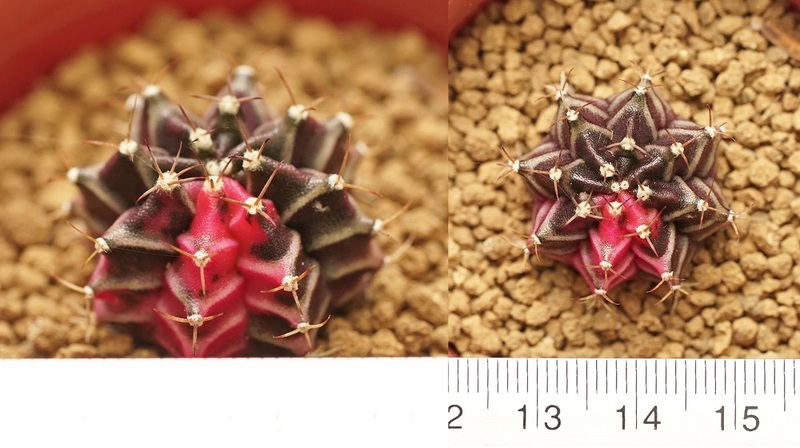 Detail:: Copiapoa lambarkii ราคา 1,500.- high=3.5cm. 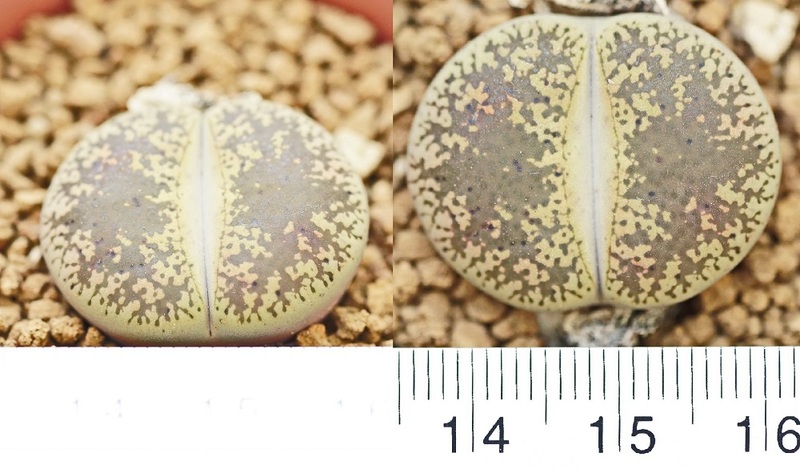 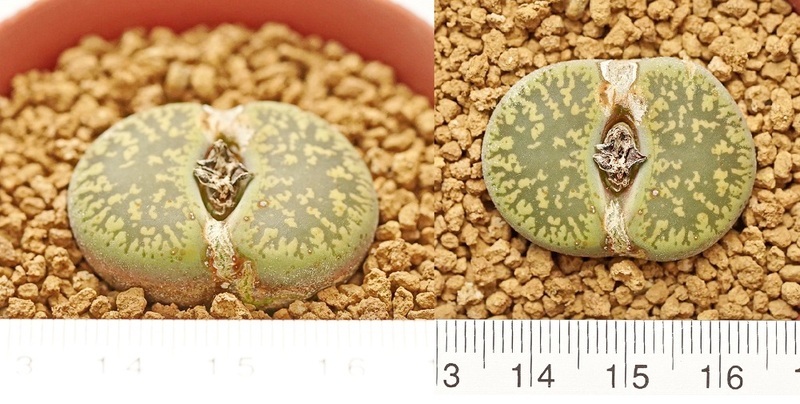 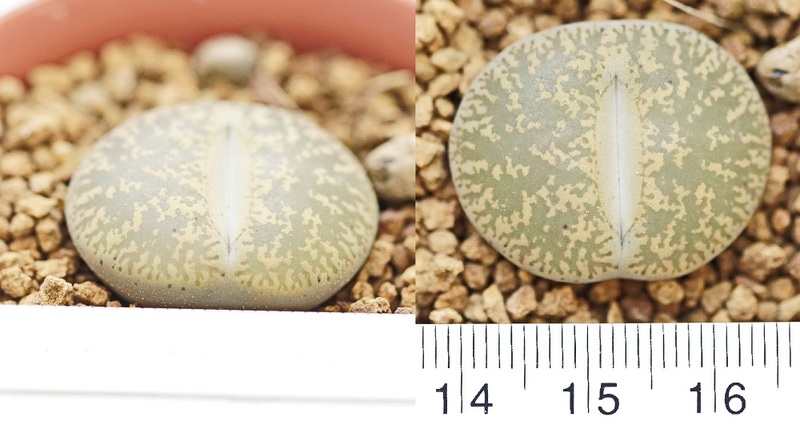 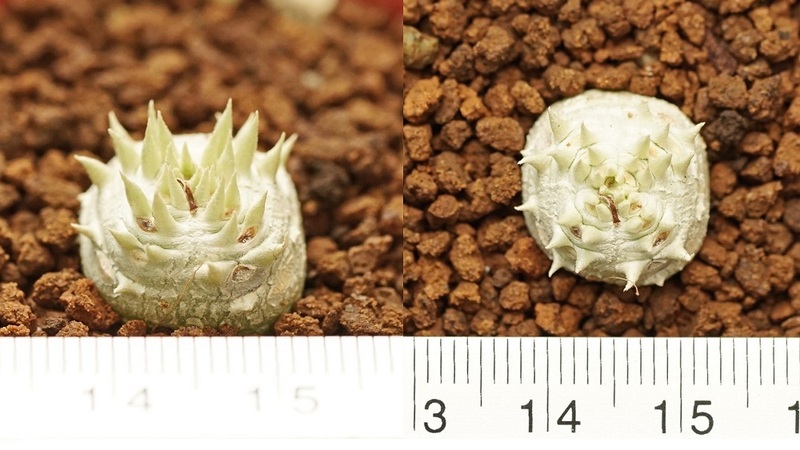 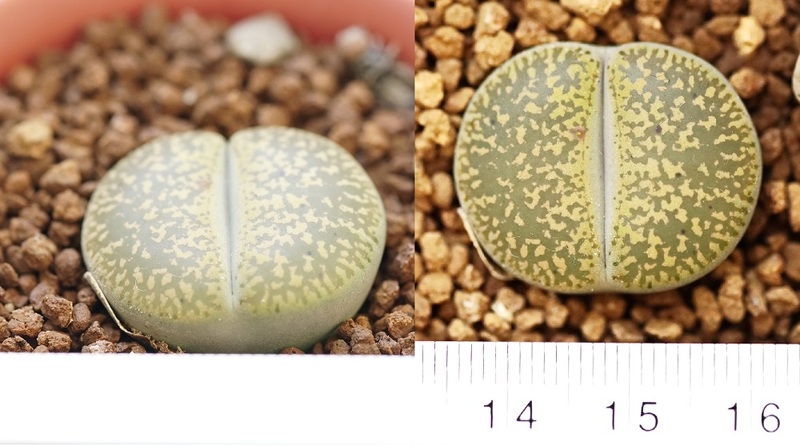 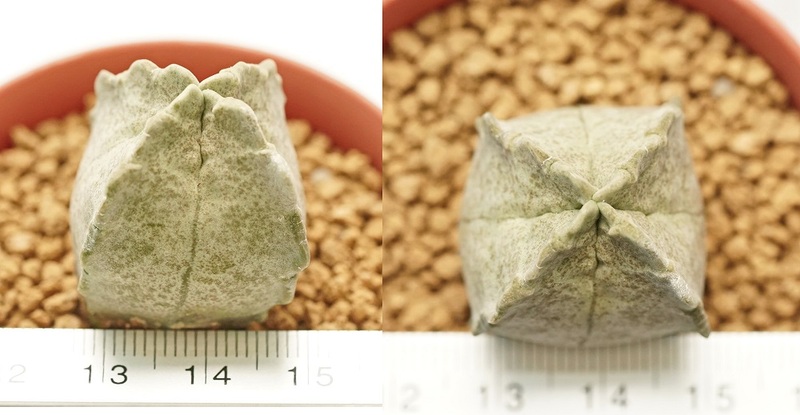 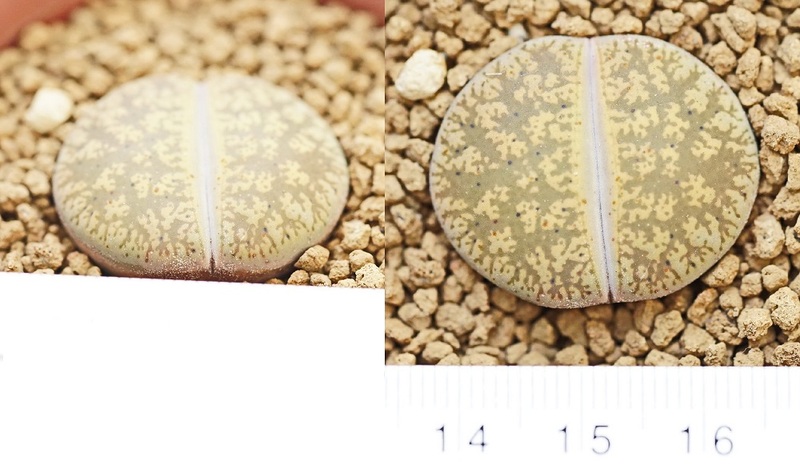 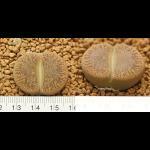 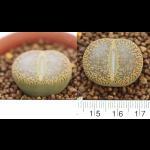 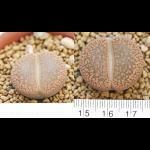 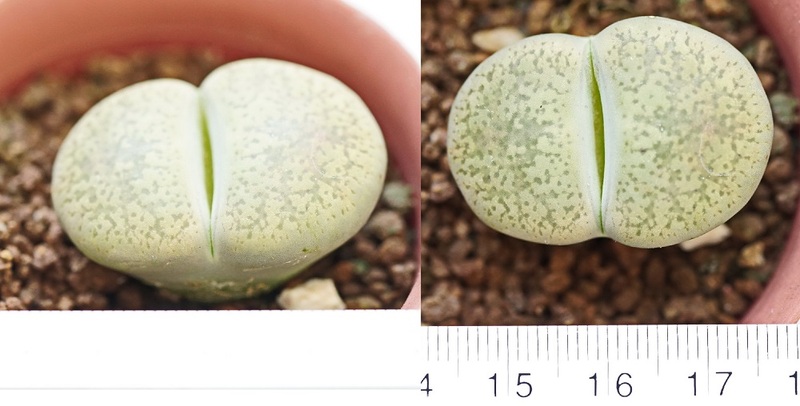 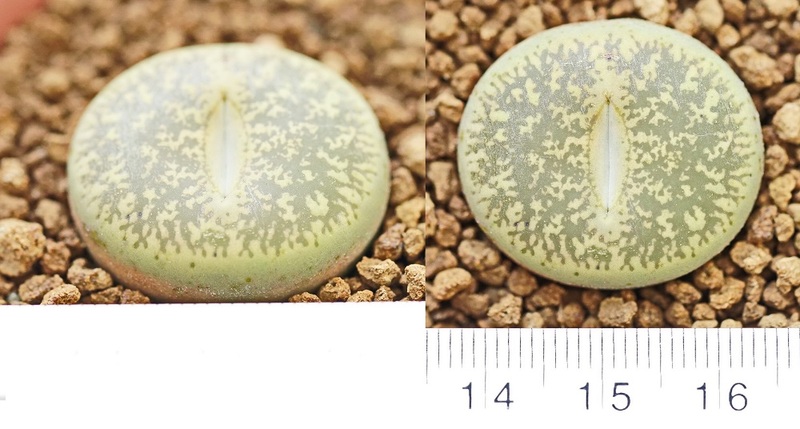 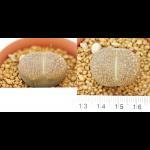 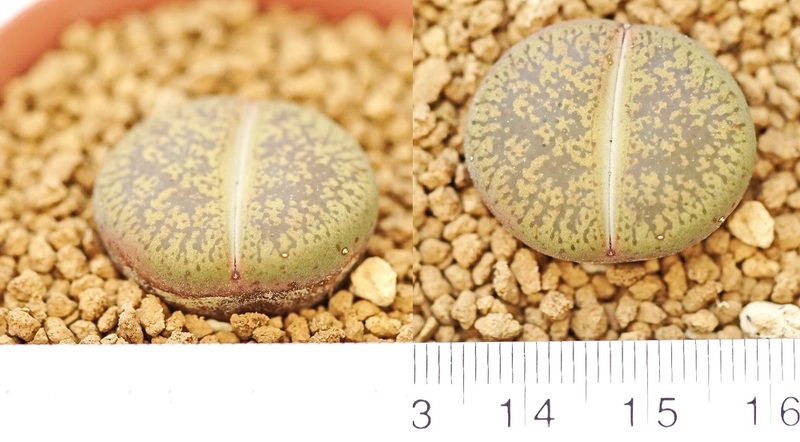 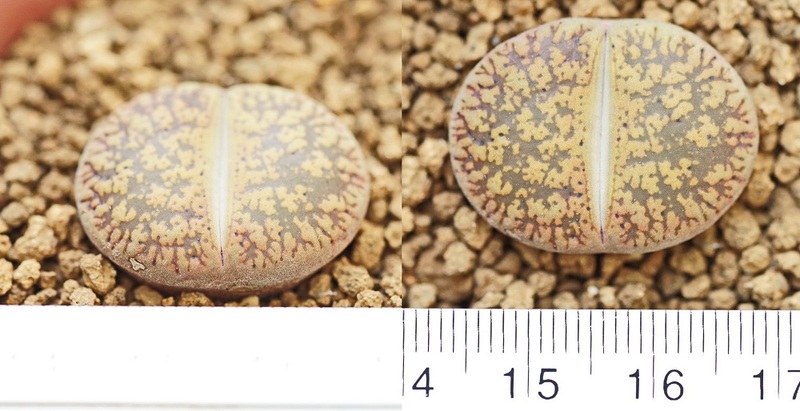 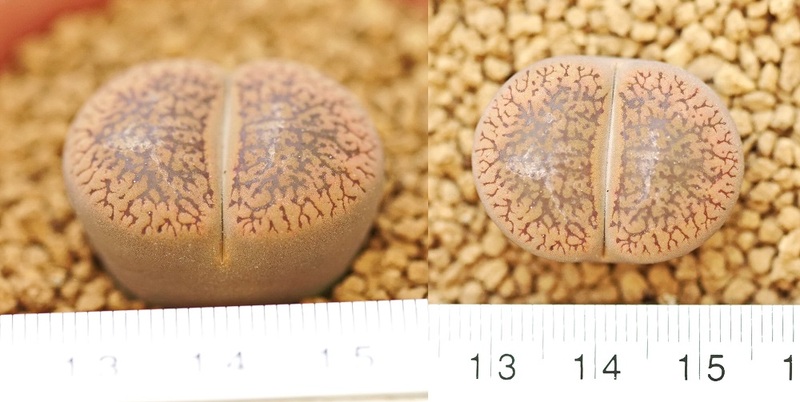 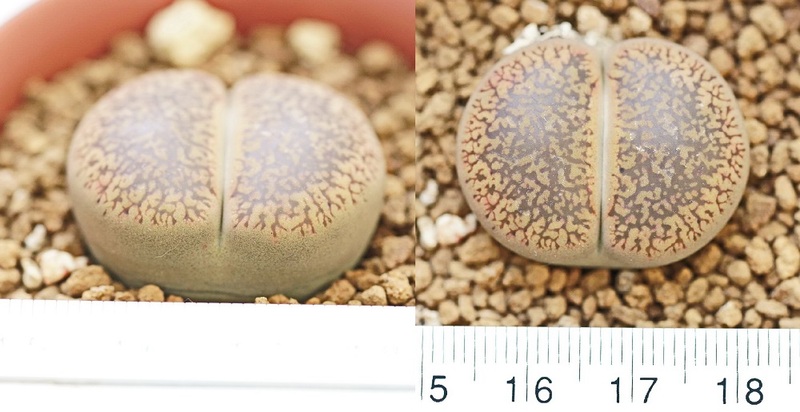 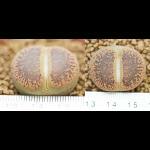 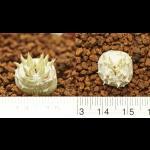 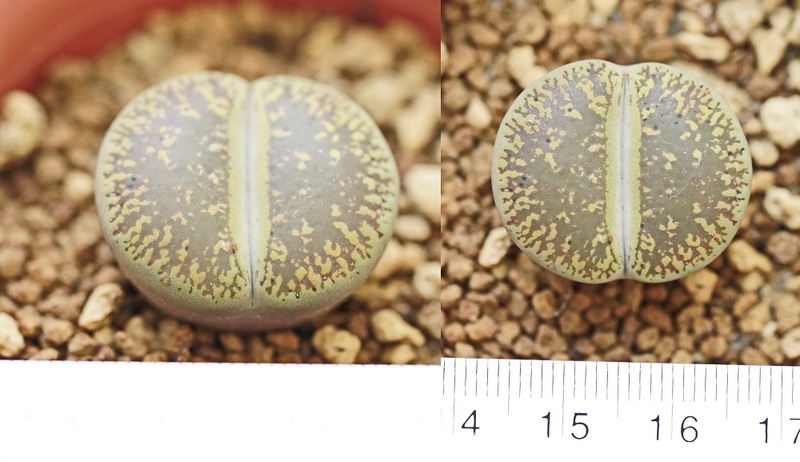 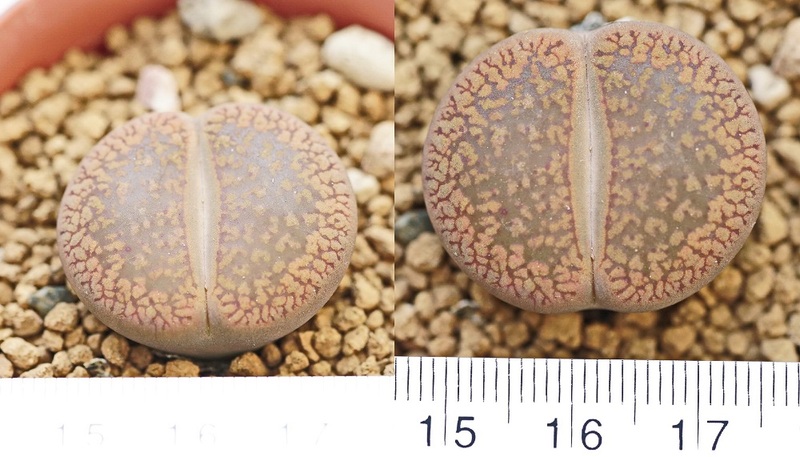 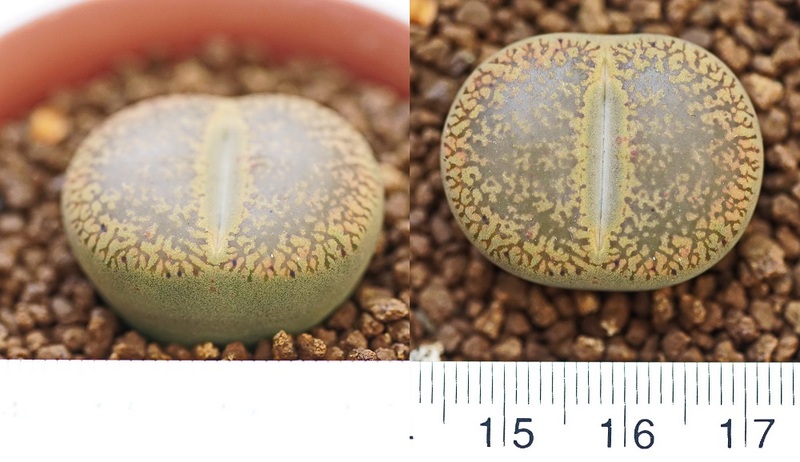 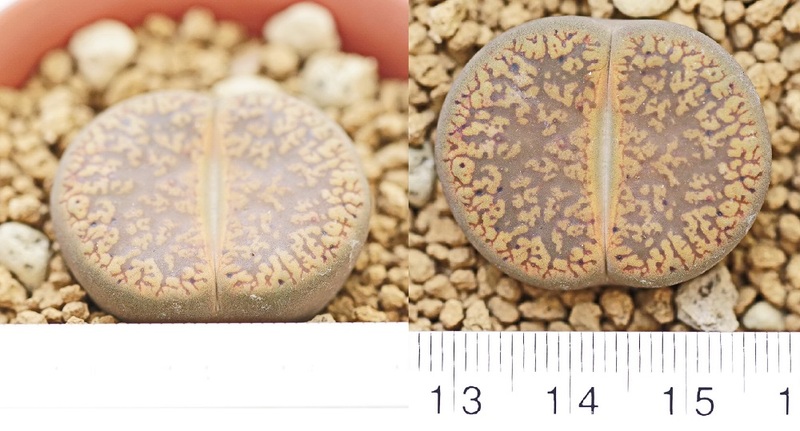 Detail:: Ariocarpus kotschoubeyanus Montrose high=7.5cm. 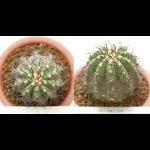 Detail:: Mammillaria prolifera hybrid ราคา 350.- high=10cm. 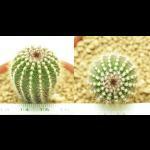 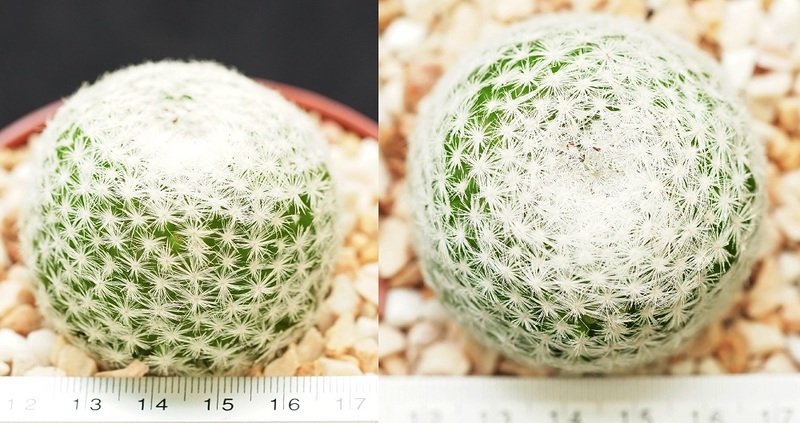 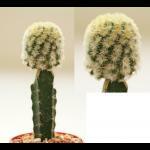 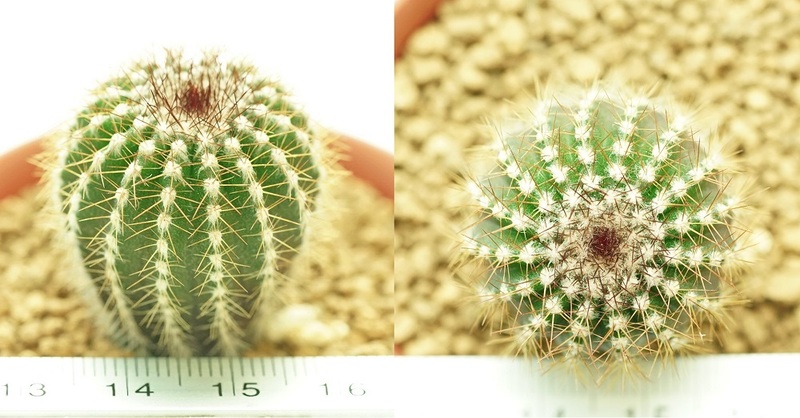 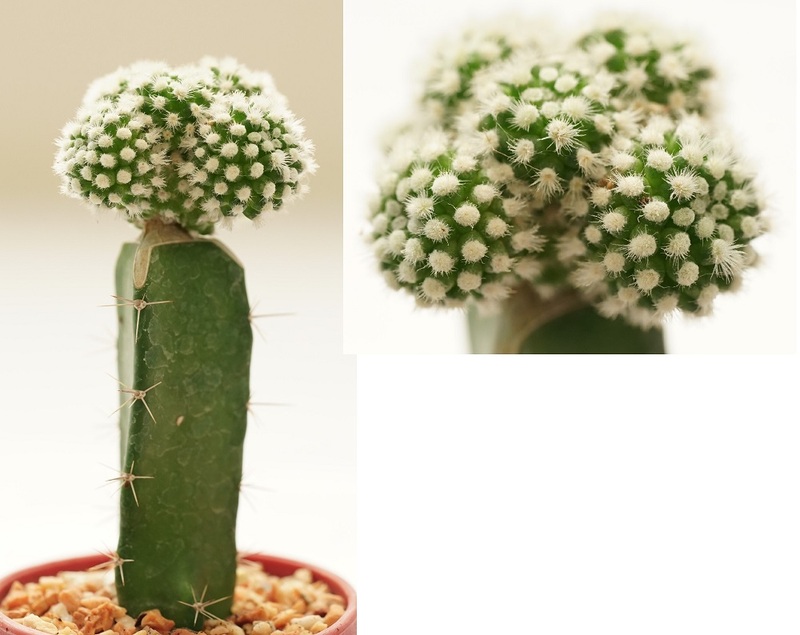 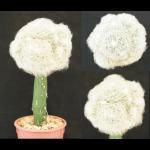 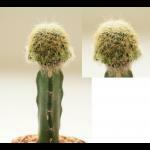 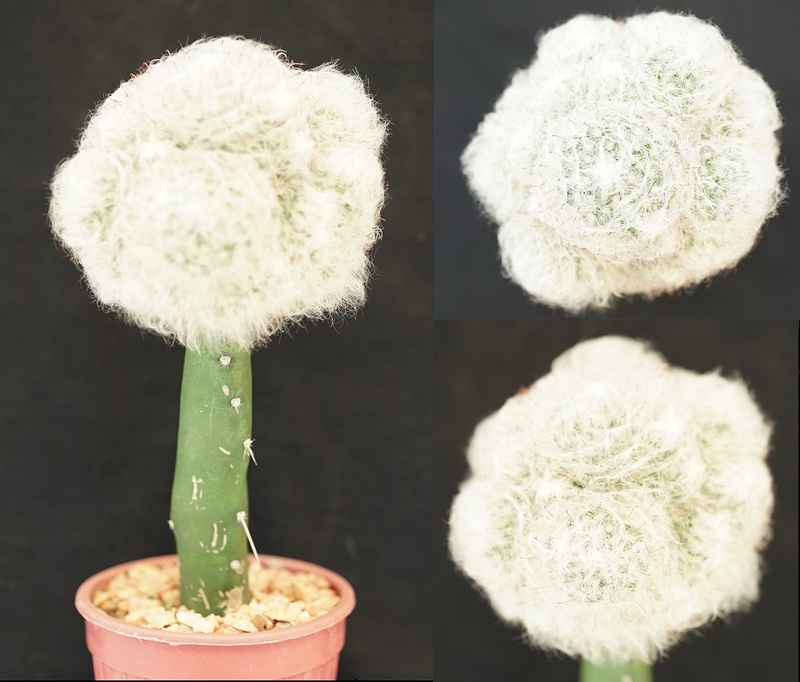 Detail:: Mammillaria carmenae ราคา 800.- high=9.5cm. 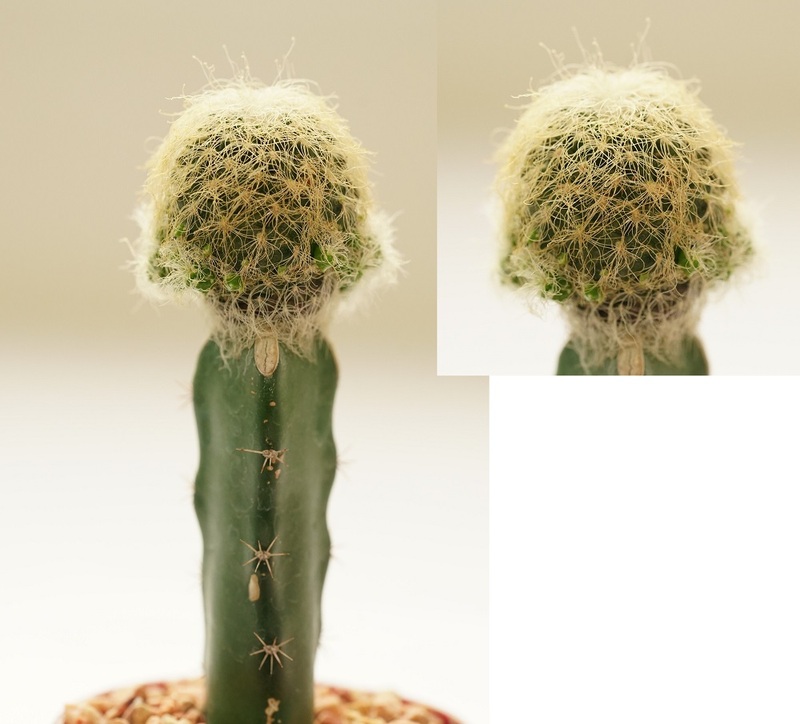 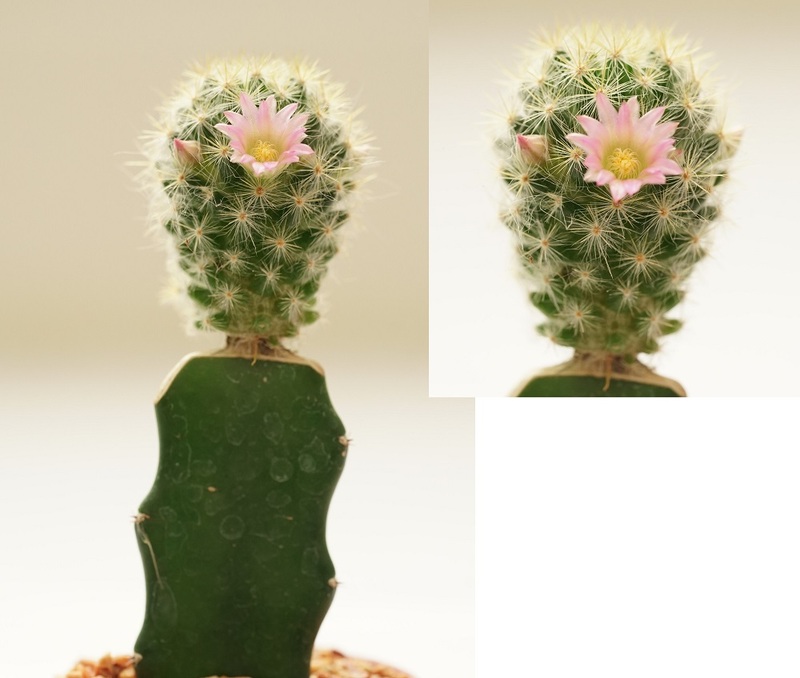 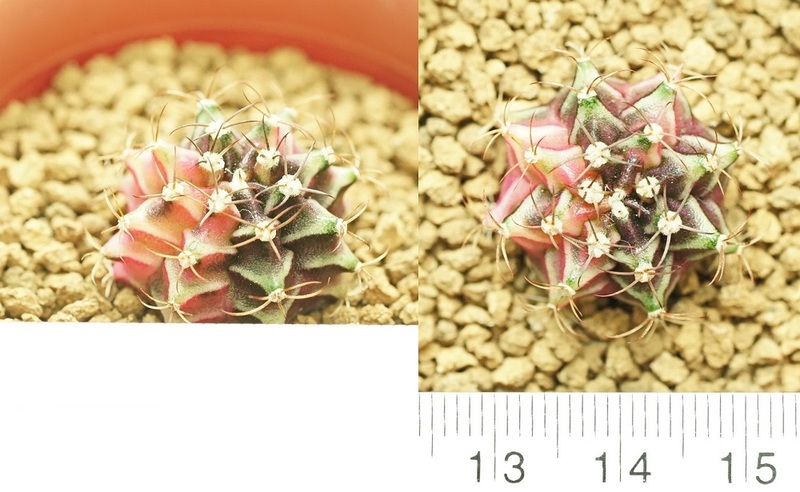 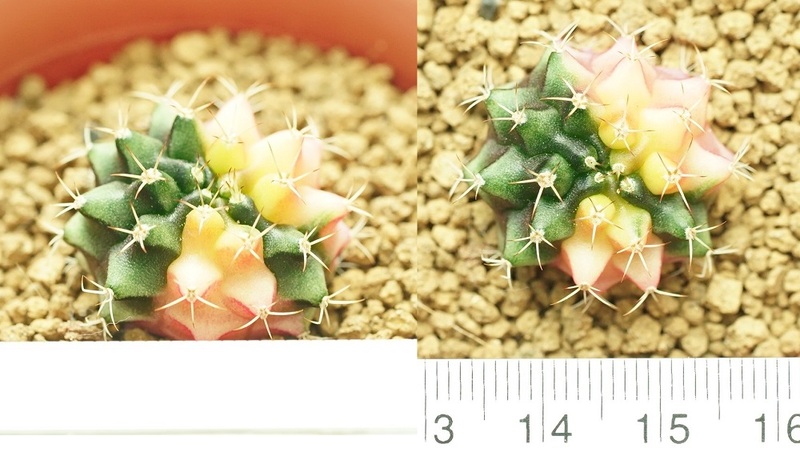 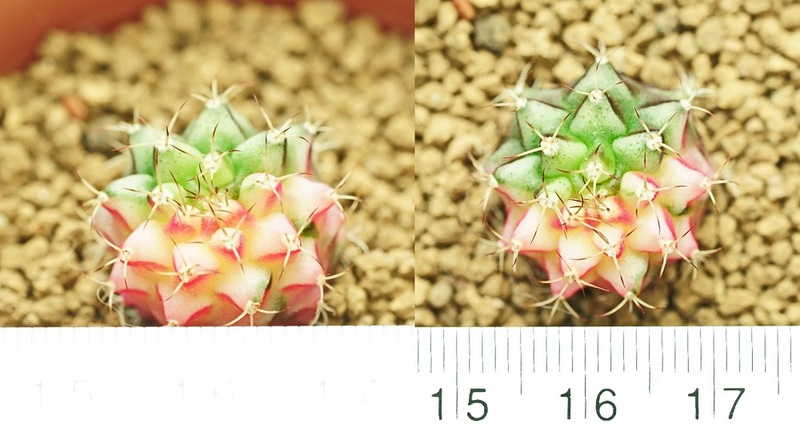 Detail:: Mammillaria gracilis montrose high=8cm. 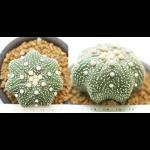 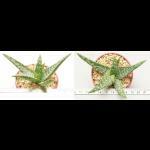 Detail:: Astrophytum asterias super V type ราคา 1,500.- high=8.5cm. 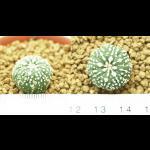 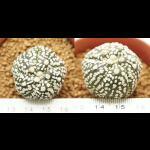 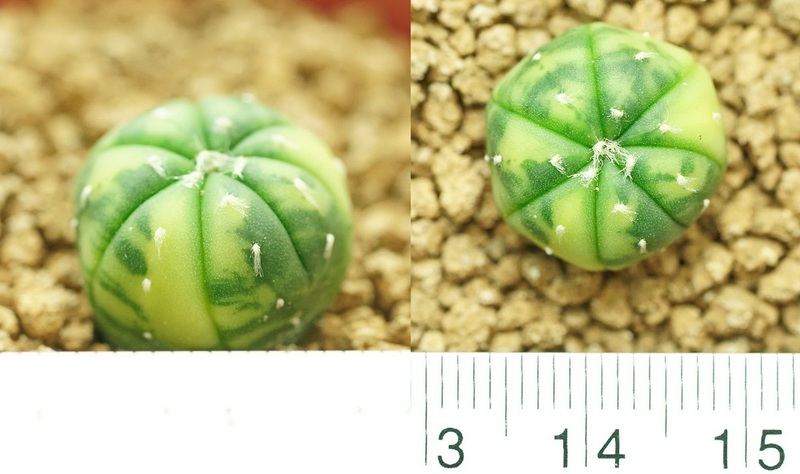 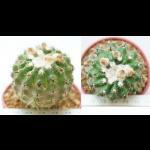 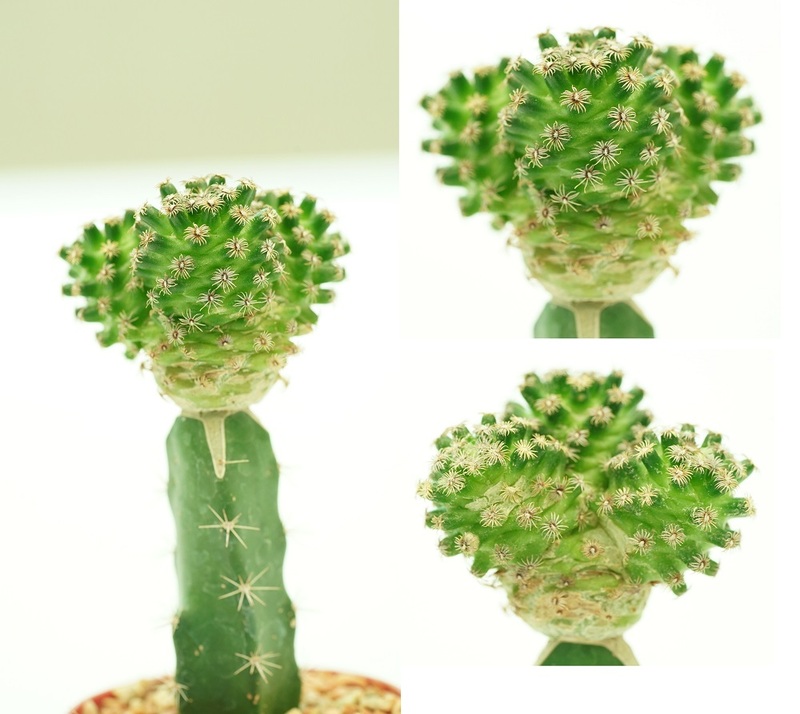 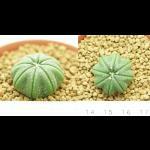 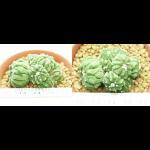 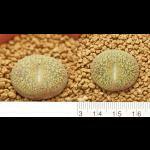 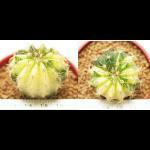 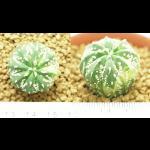 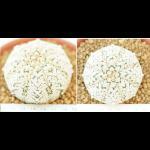 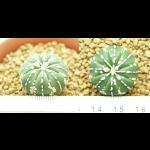 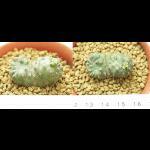 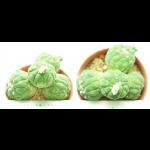 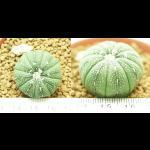 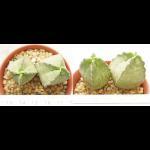 Detail:: Astrophytum myriostigma fukuryu-cvred ราคา 800.- high=4.5cm. 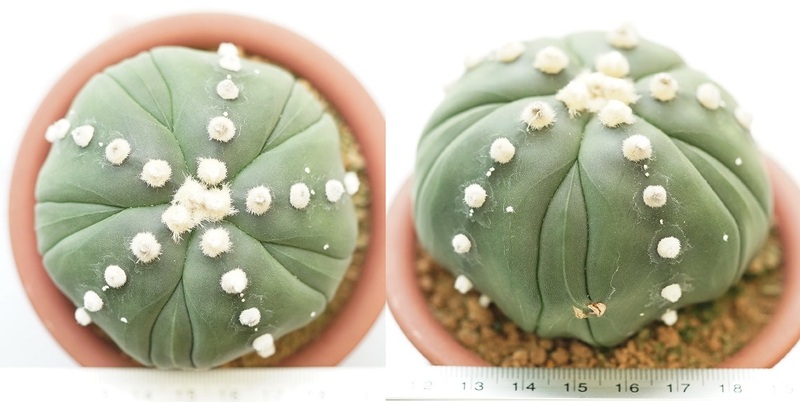 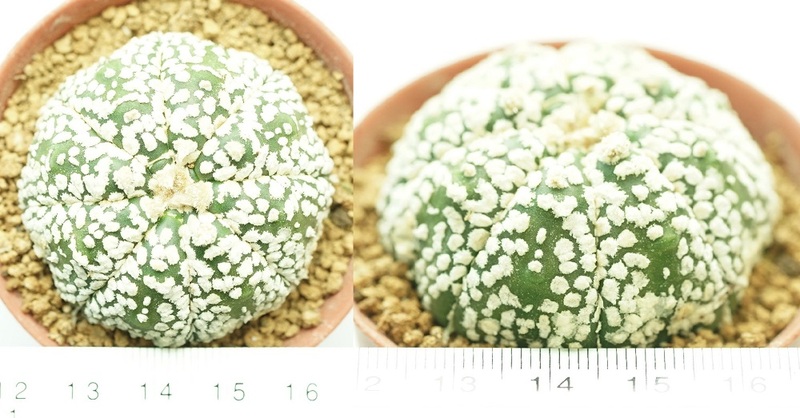 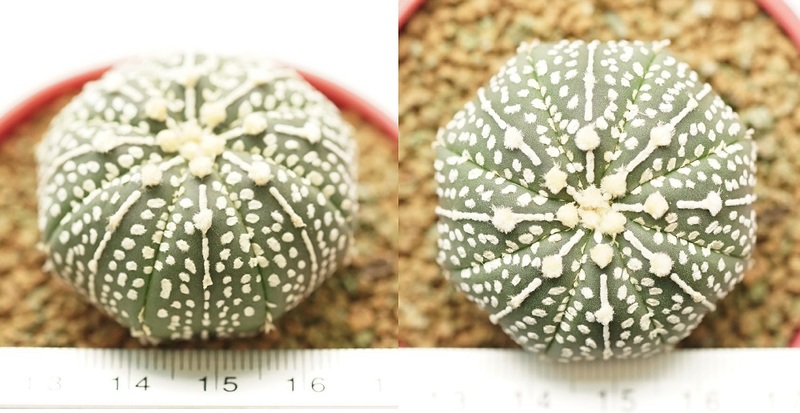 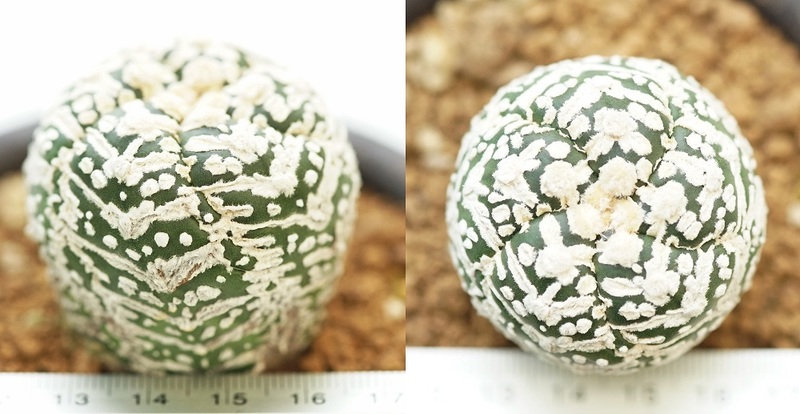 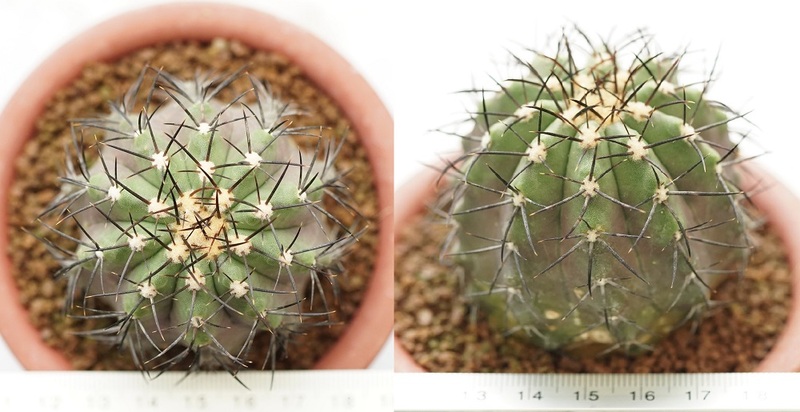 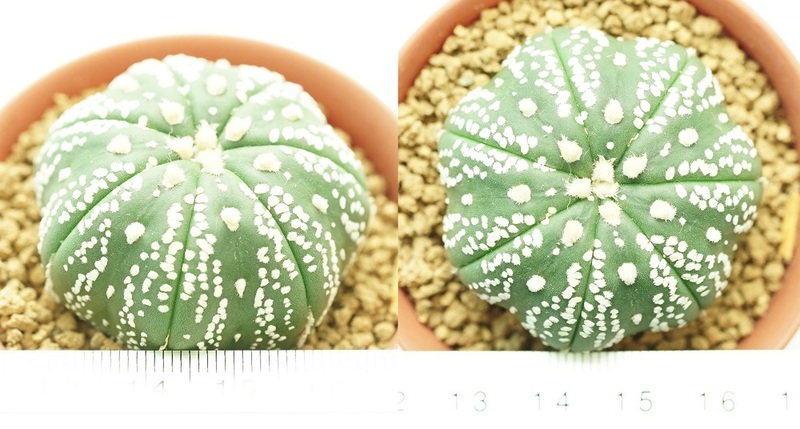 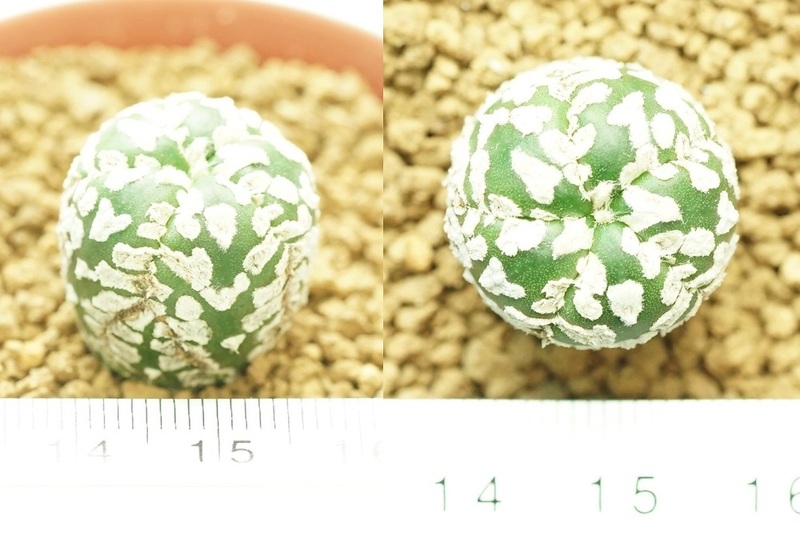 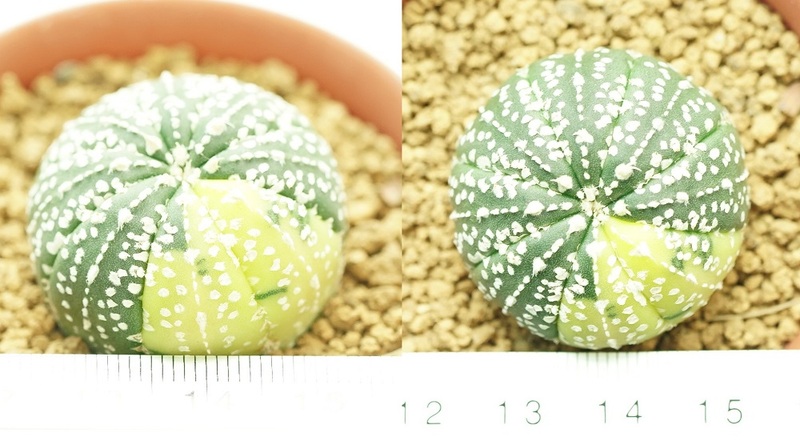 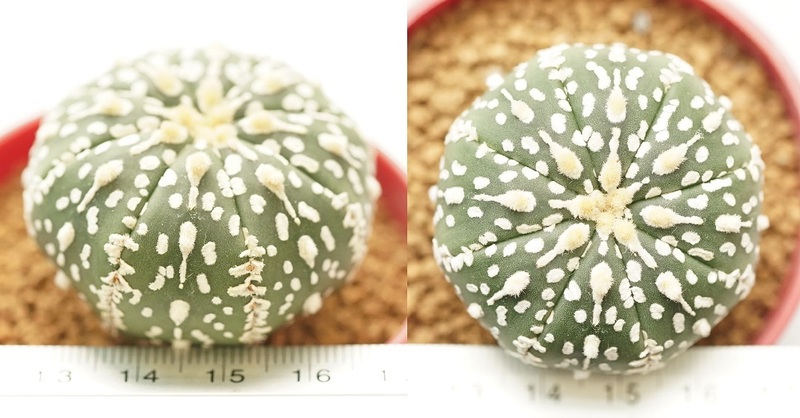 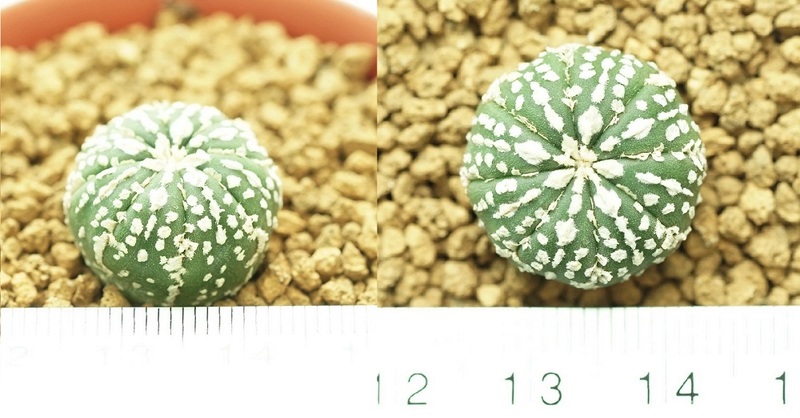 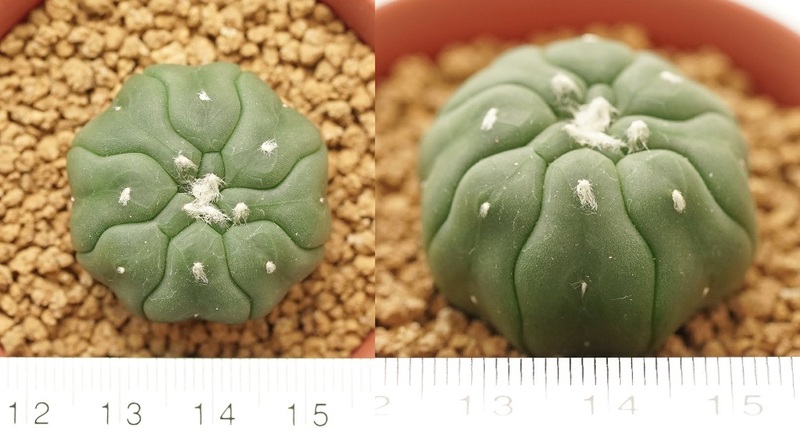 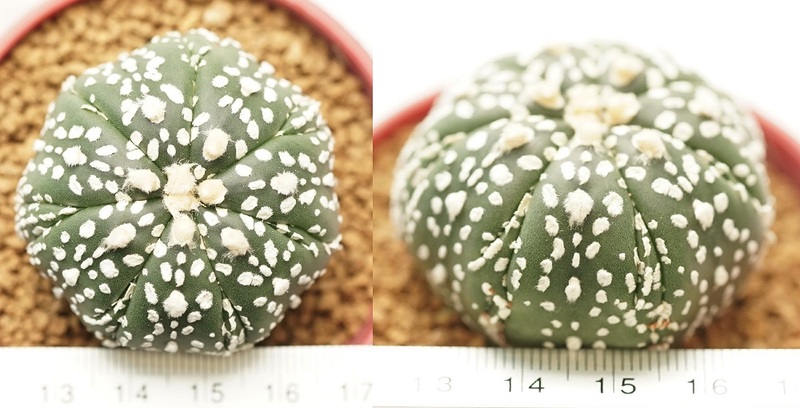 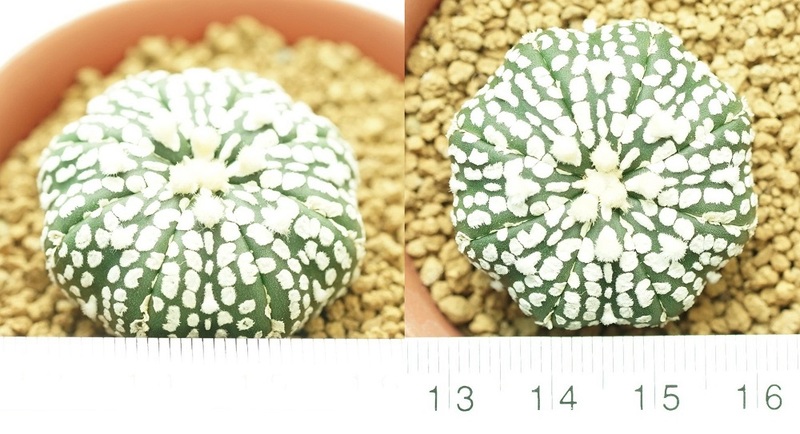 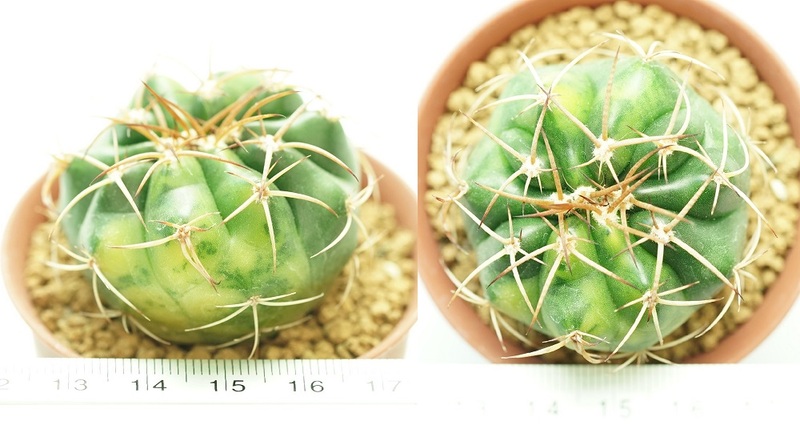 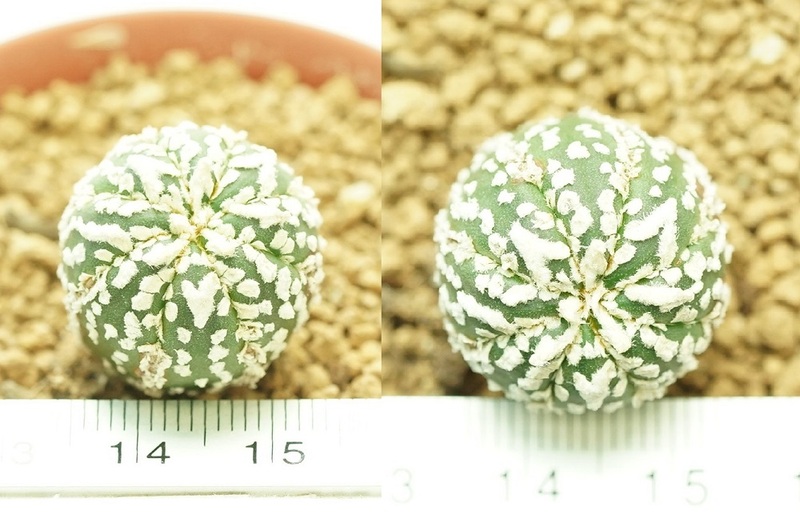 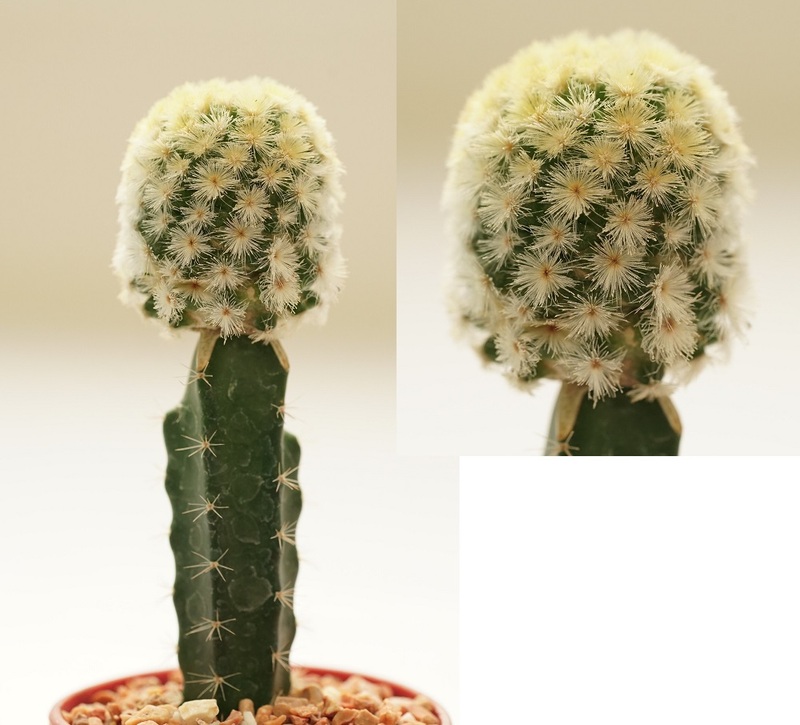 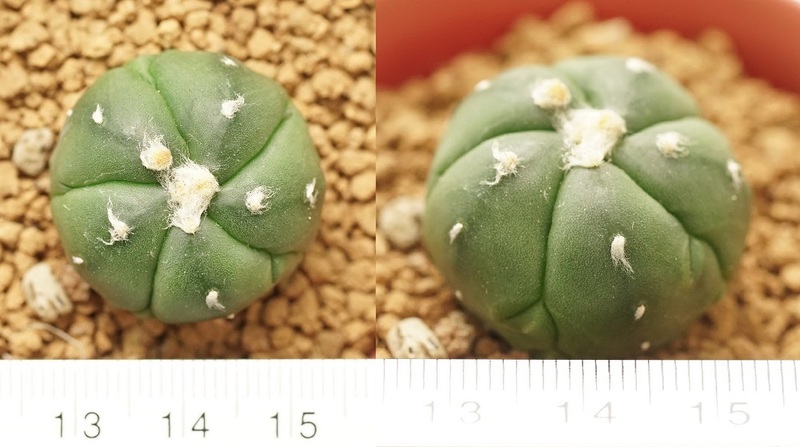 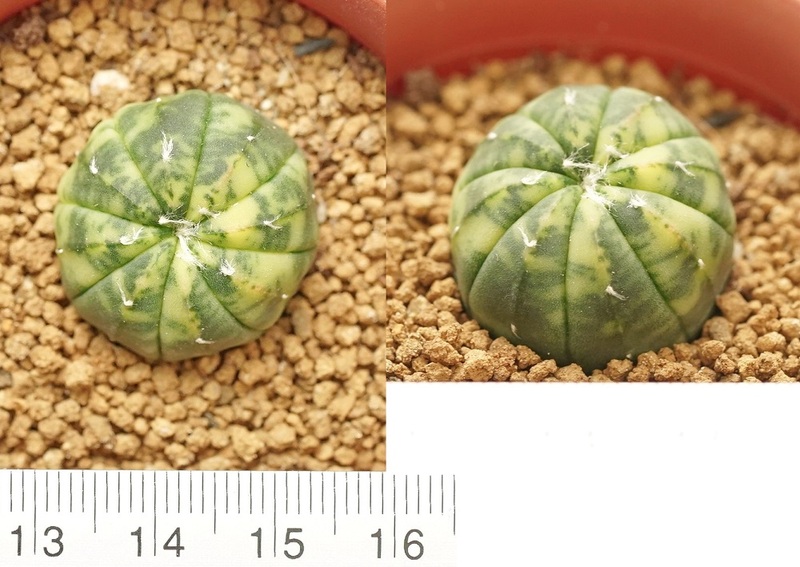 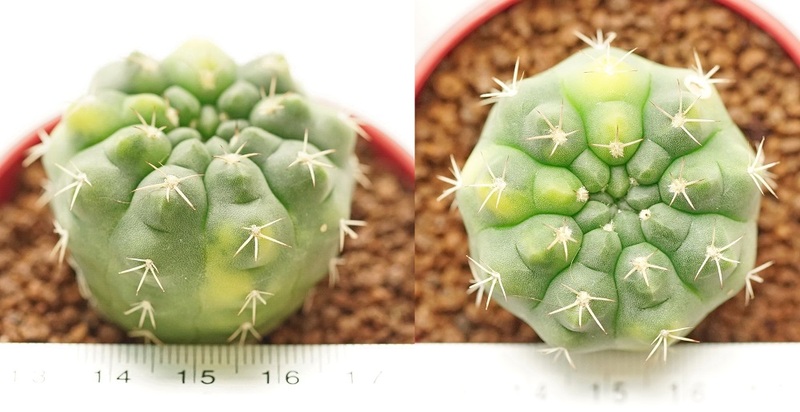 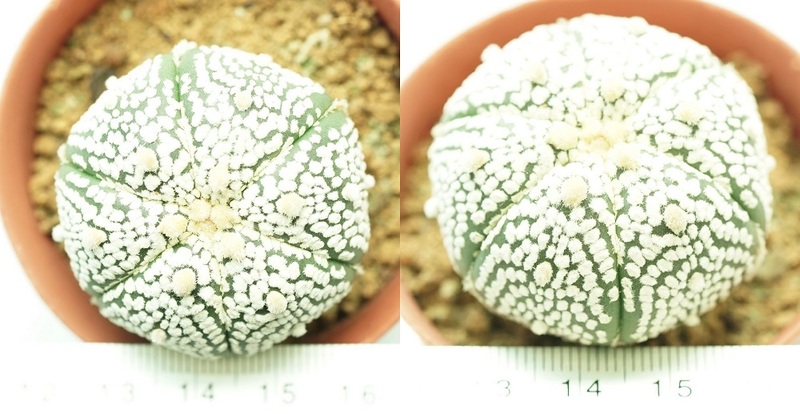 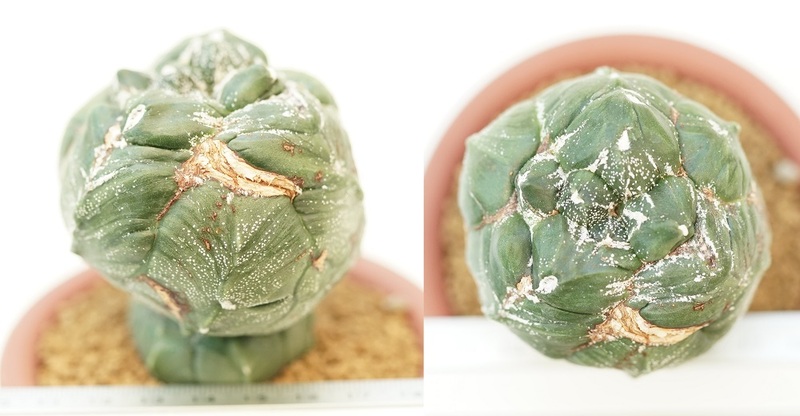 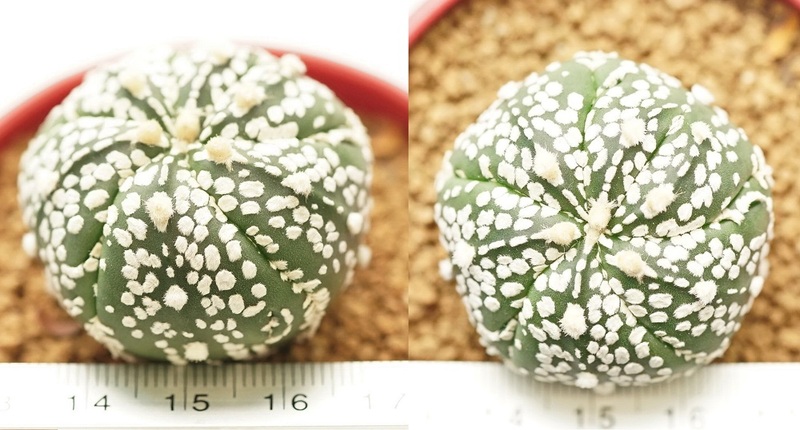 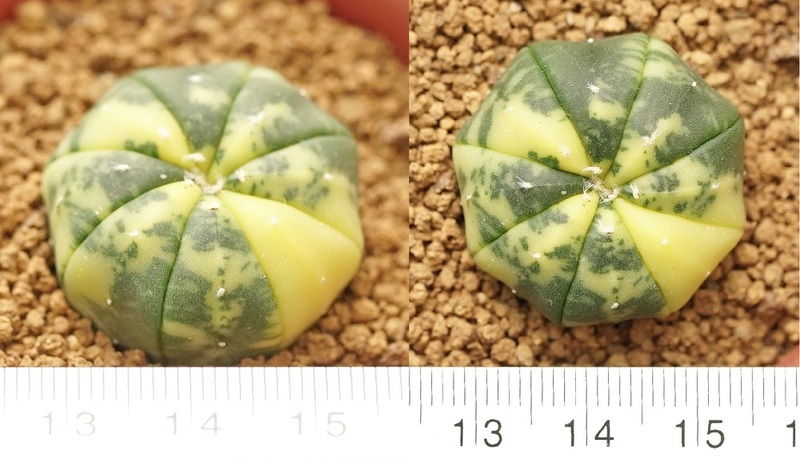 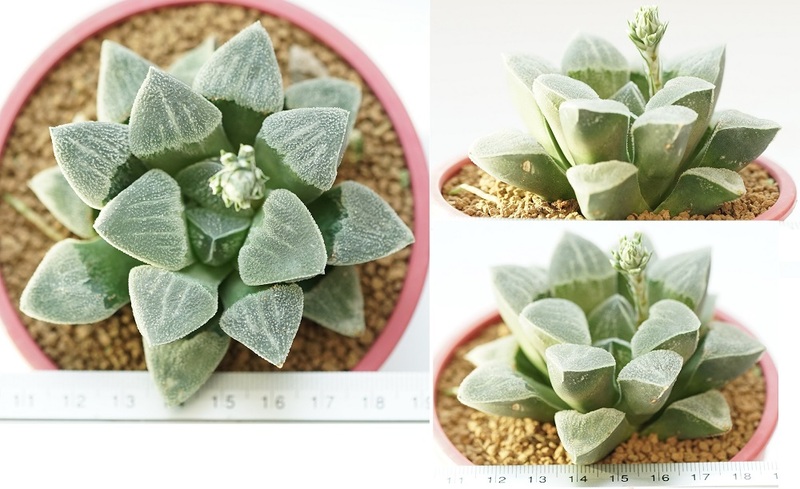 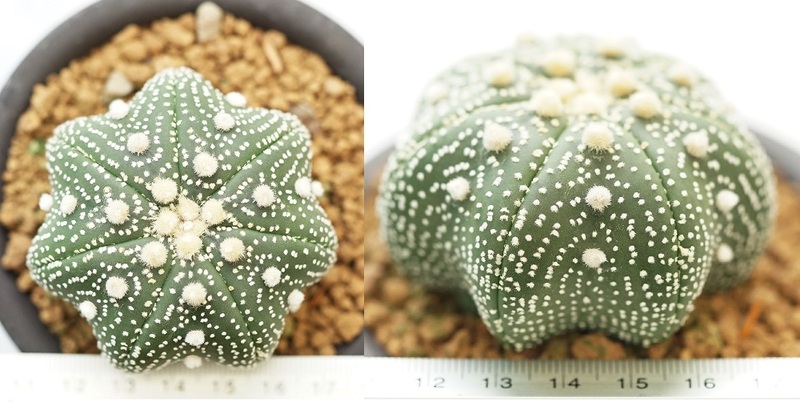 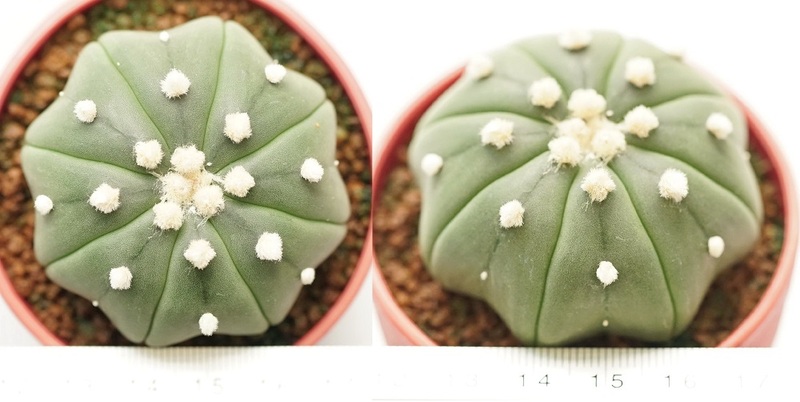 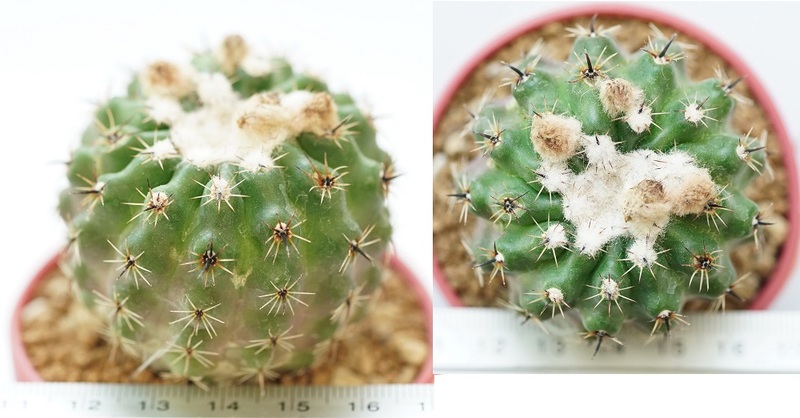 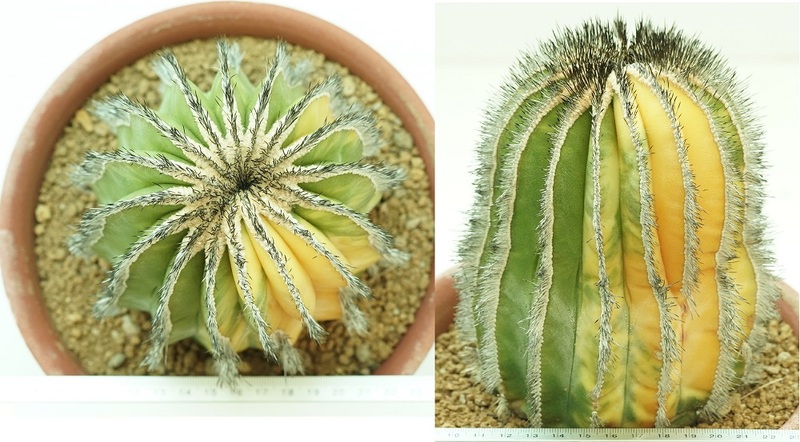 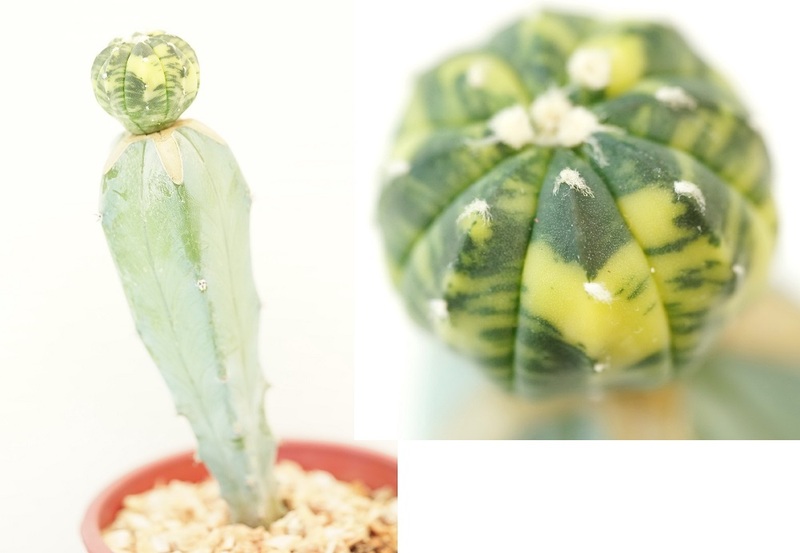 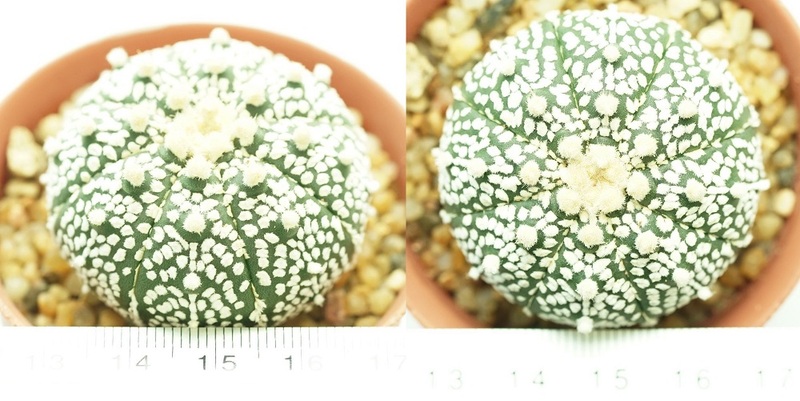 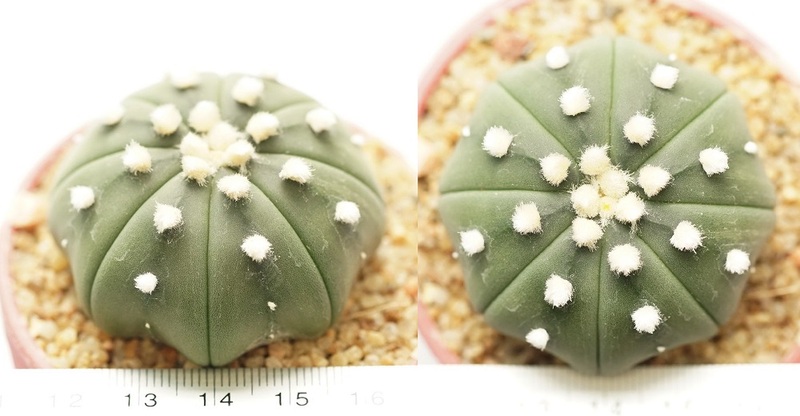 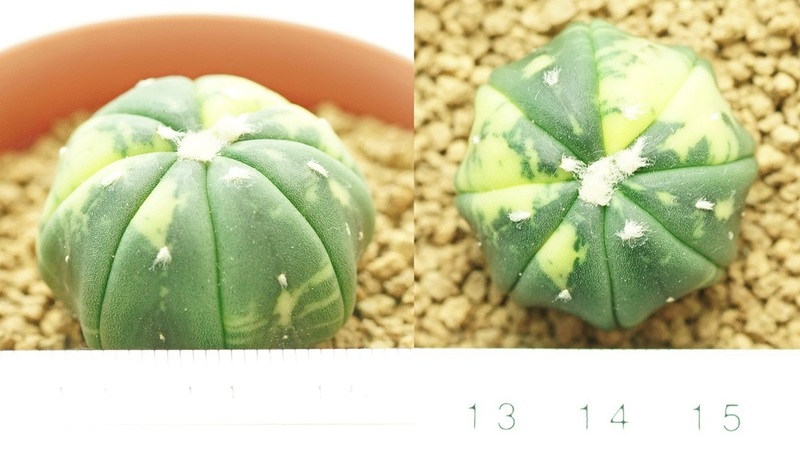 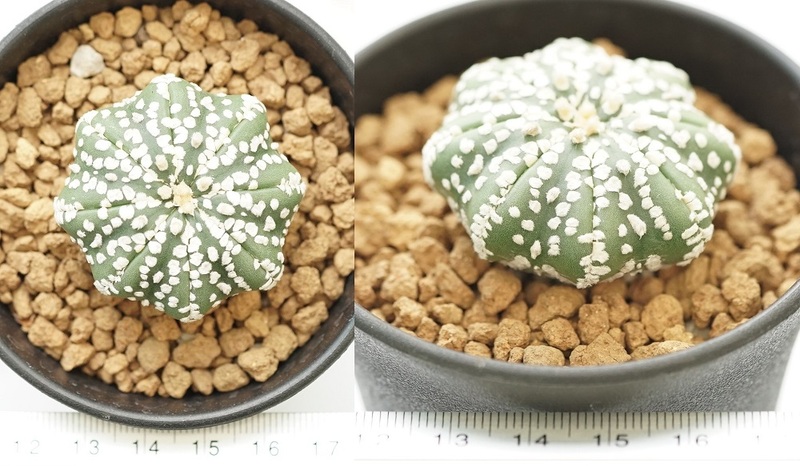 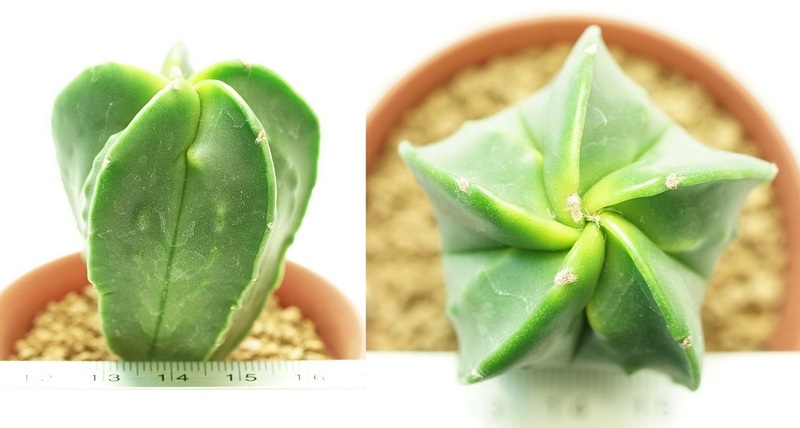 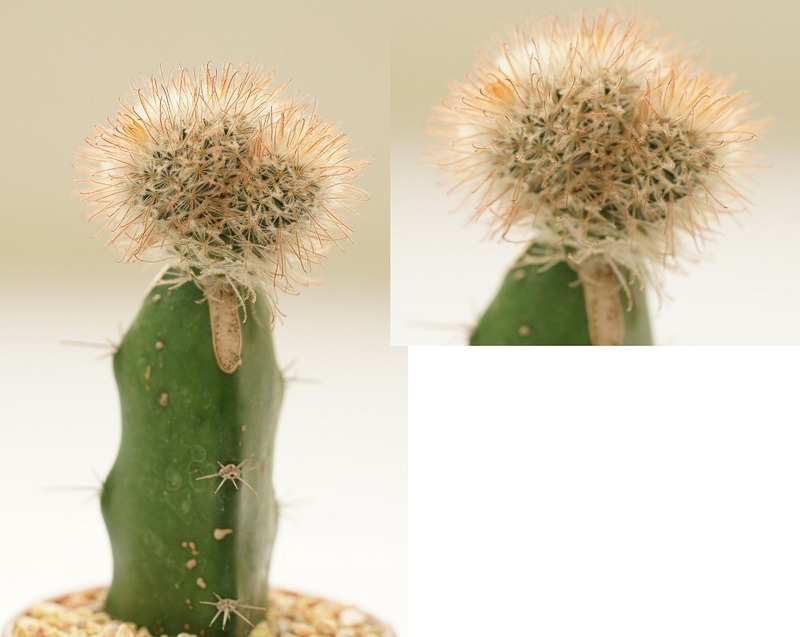 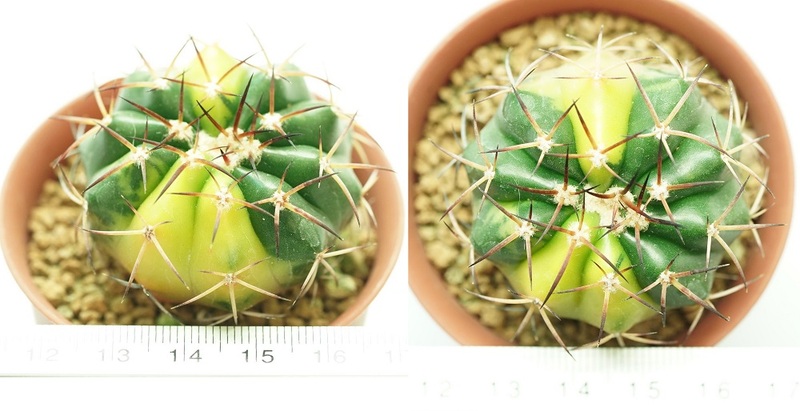 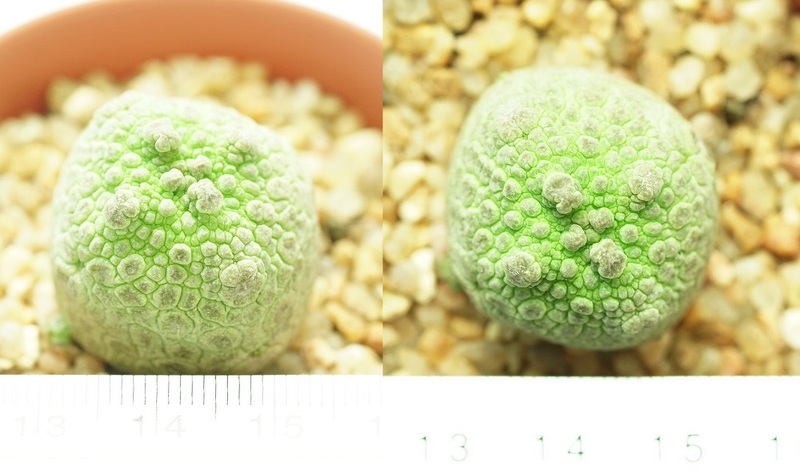 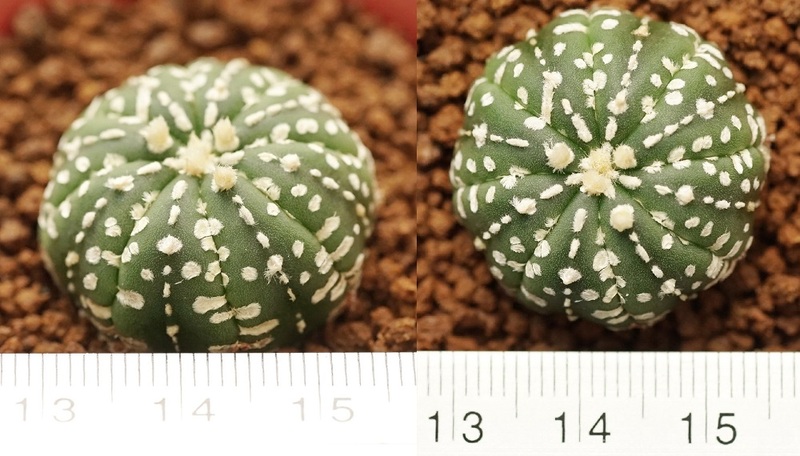 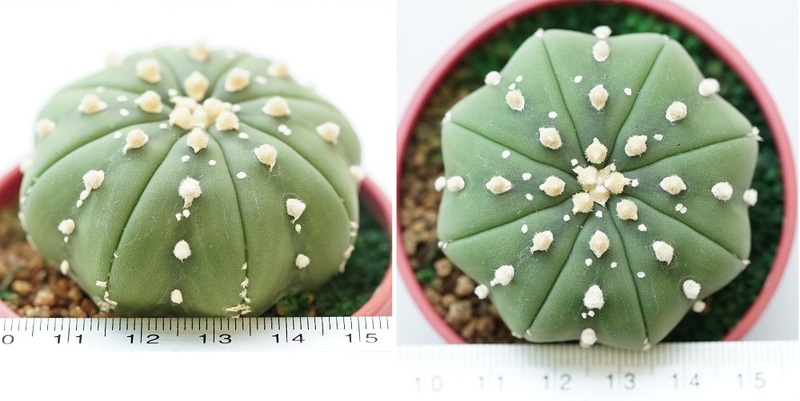 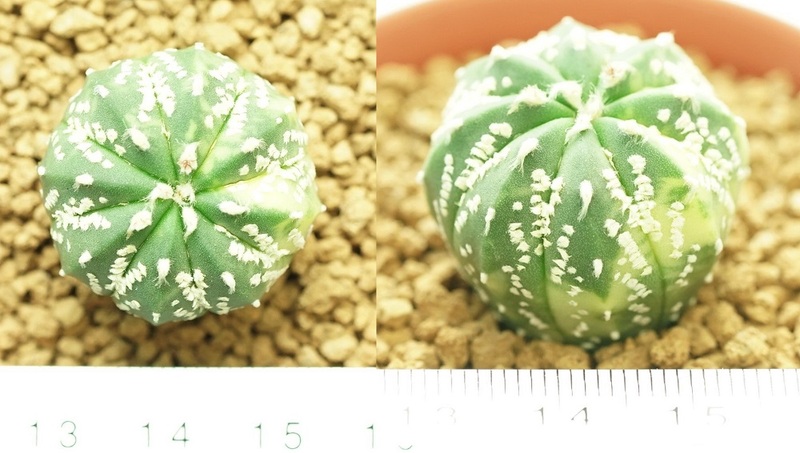 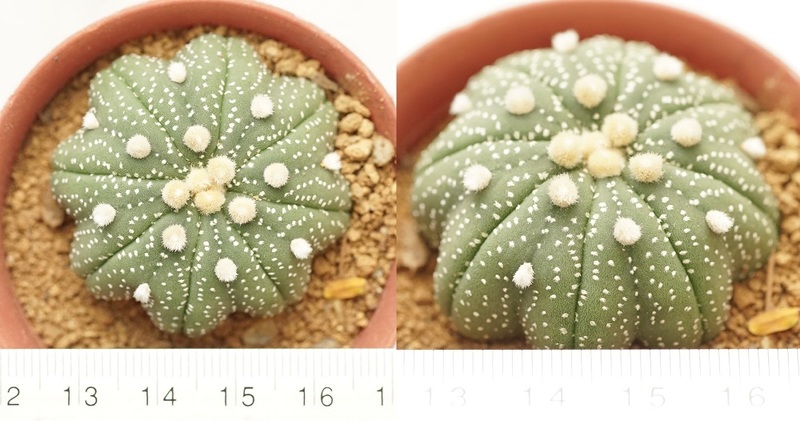 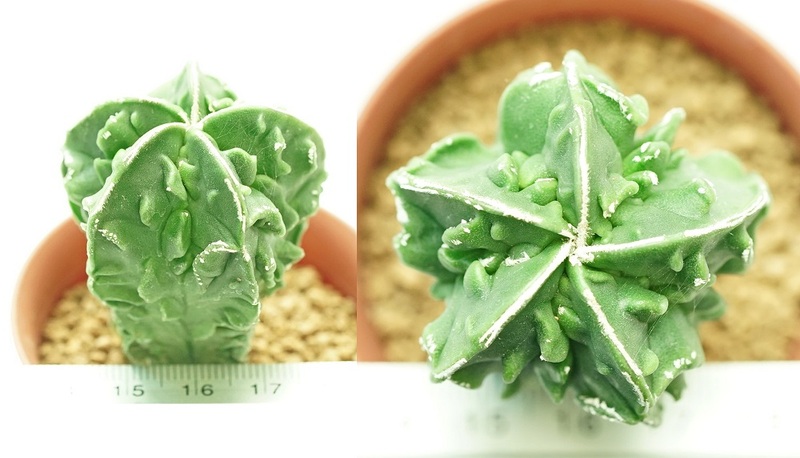 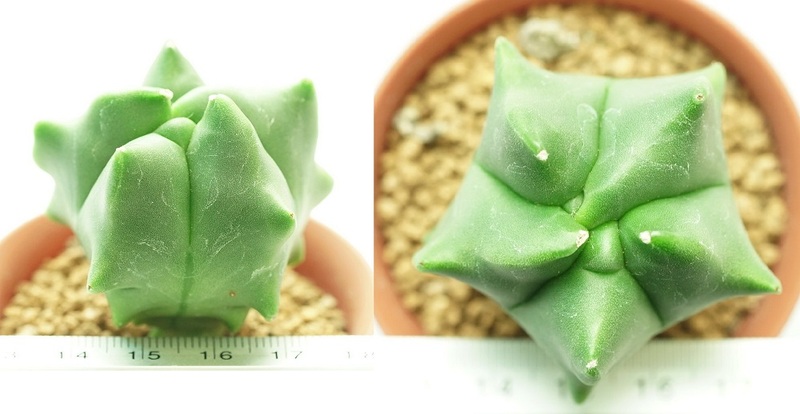 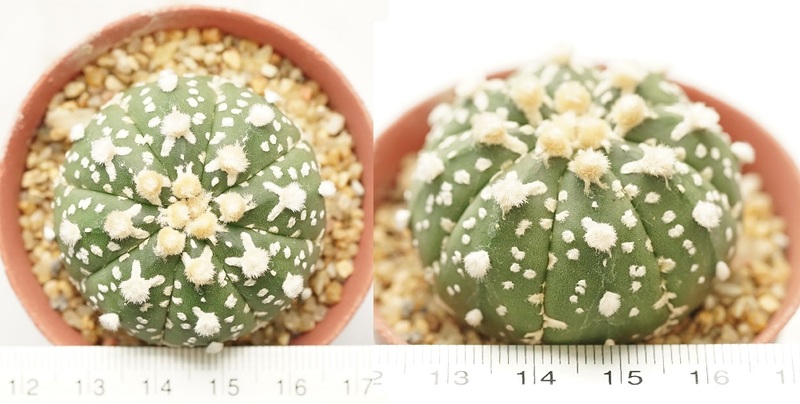 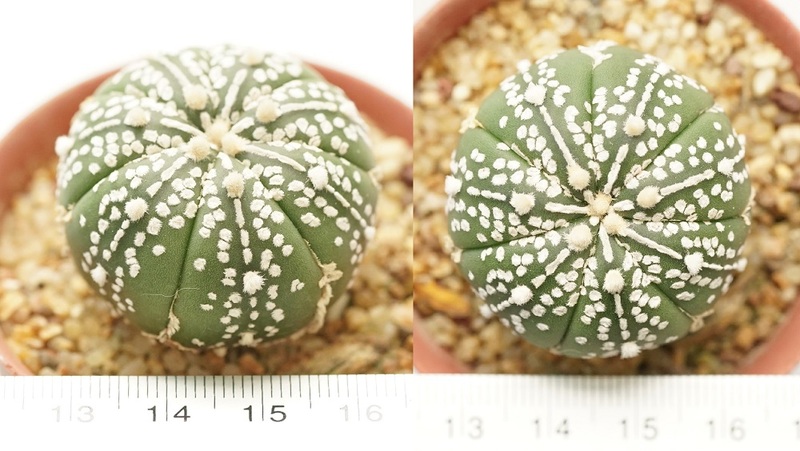 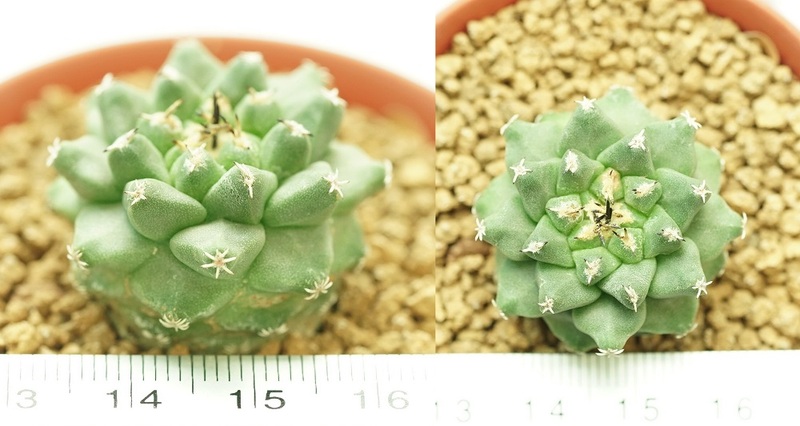 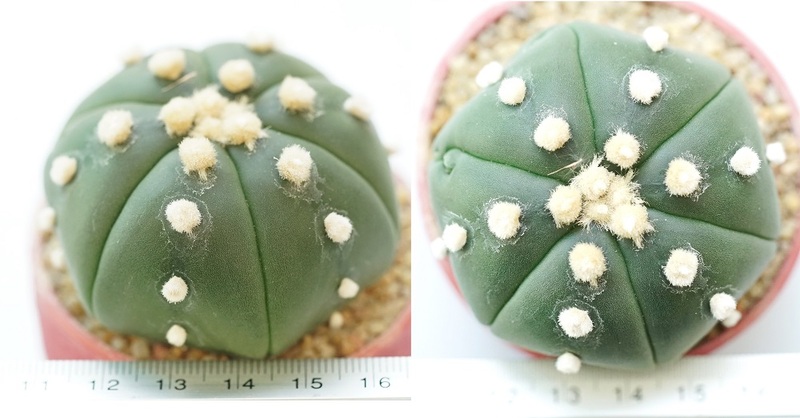 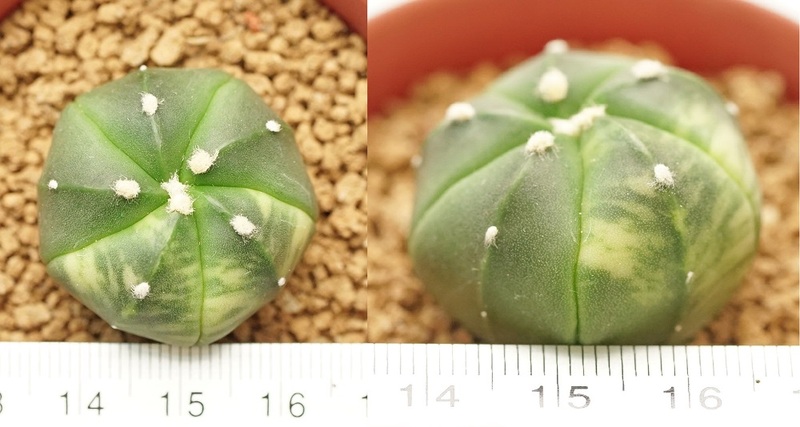 Detail:: Astrophytum myriostigma Fukuryu ราคา 450.- high=4.5cm. 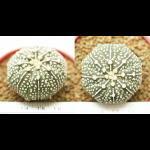 Detail:: Uebelmania pectinifera ราคา 350.- high=2cm. 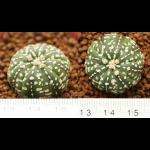 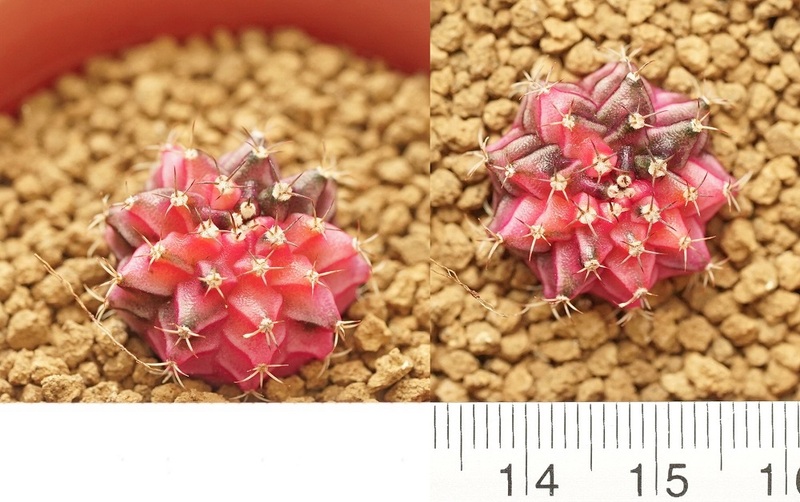 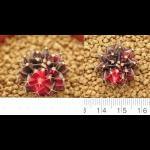 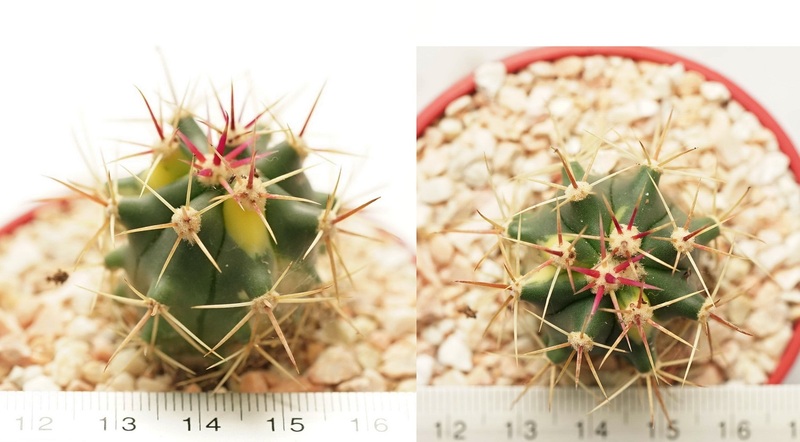 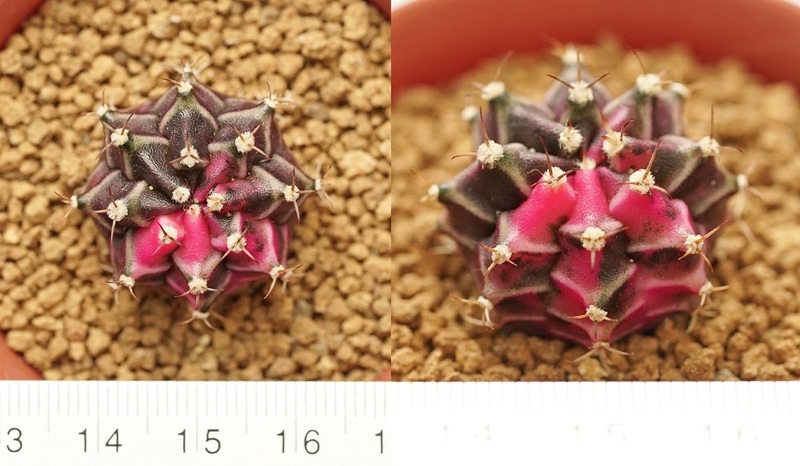 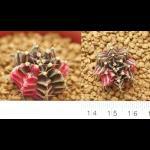 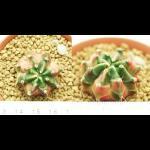 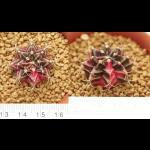 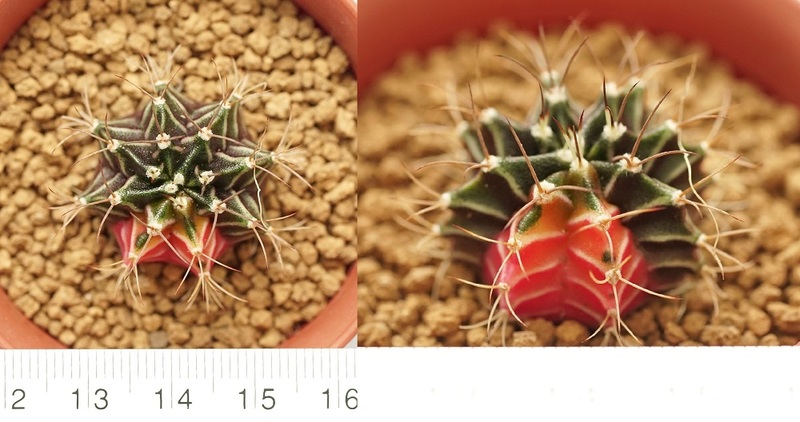 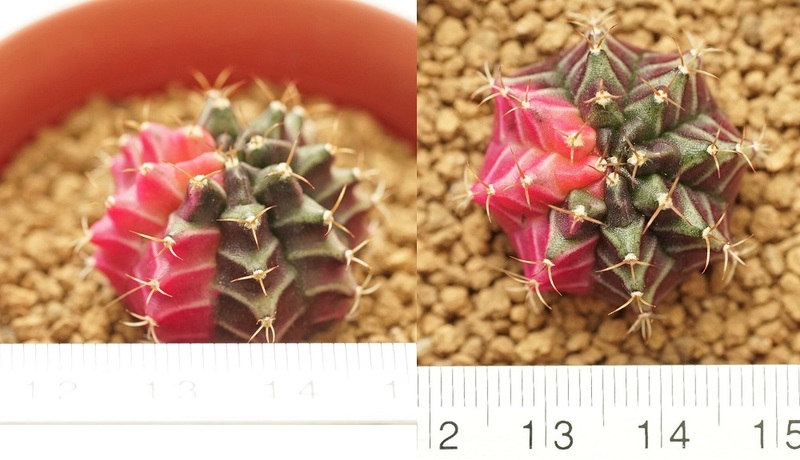 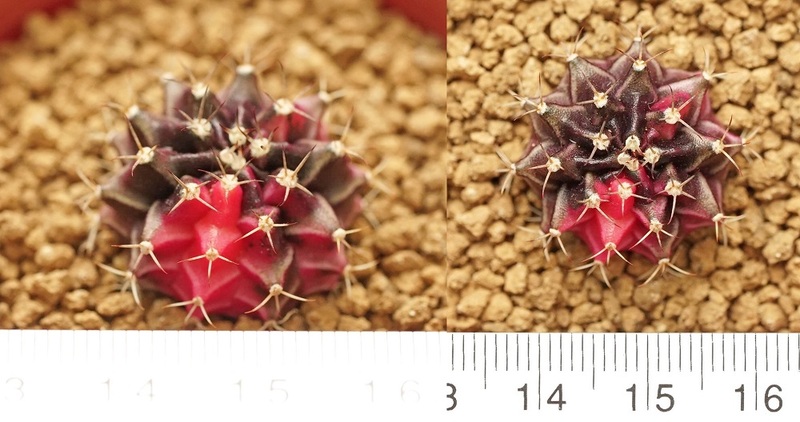 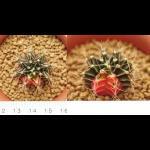 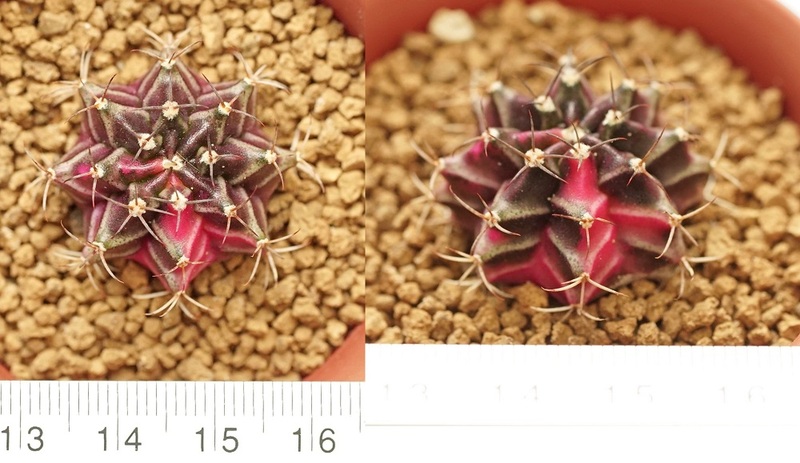 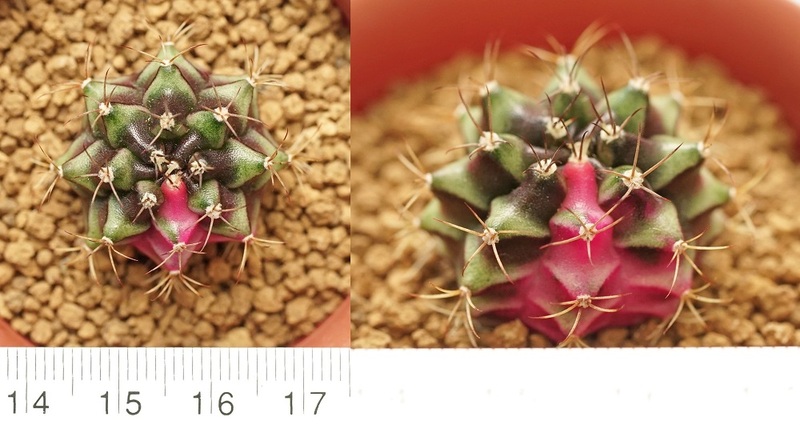 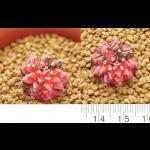 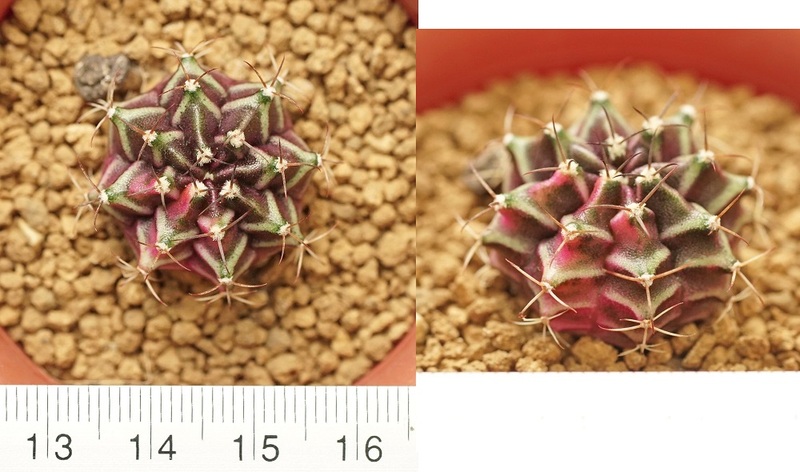 Detail:: Astrophytum myriostigma fukuryu cv.red ราคา 1,500.- high=4.5cm. 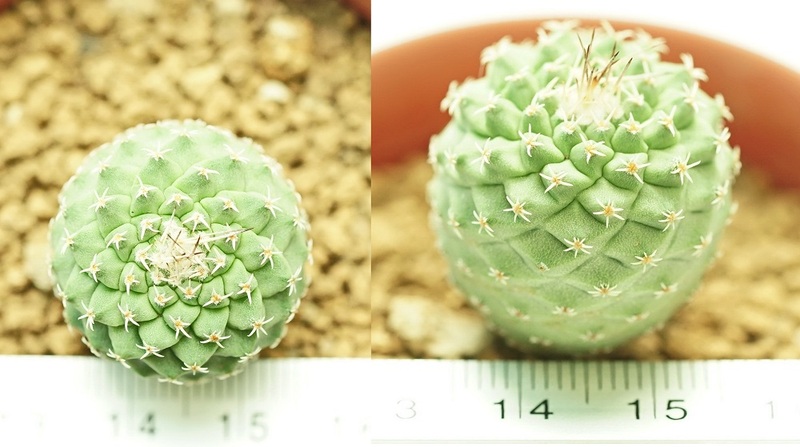 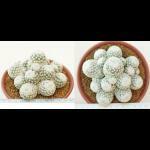 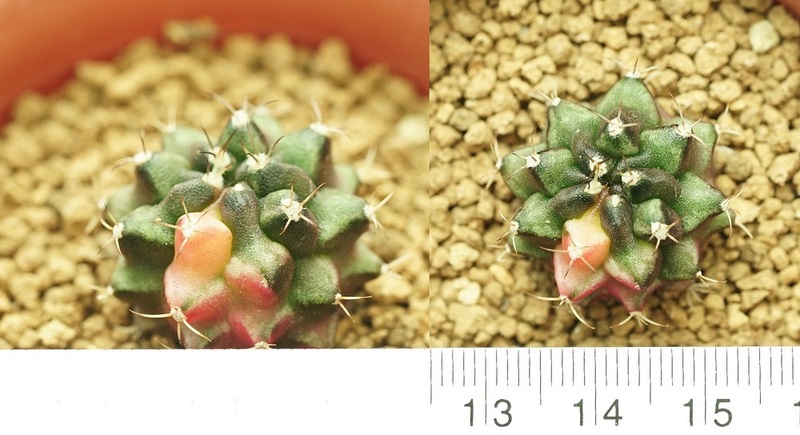 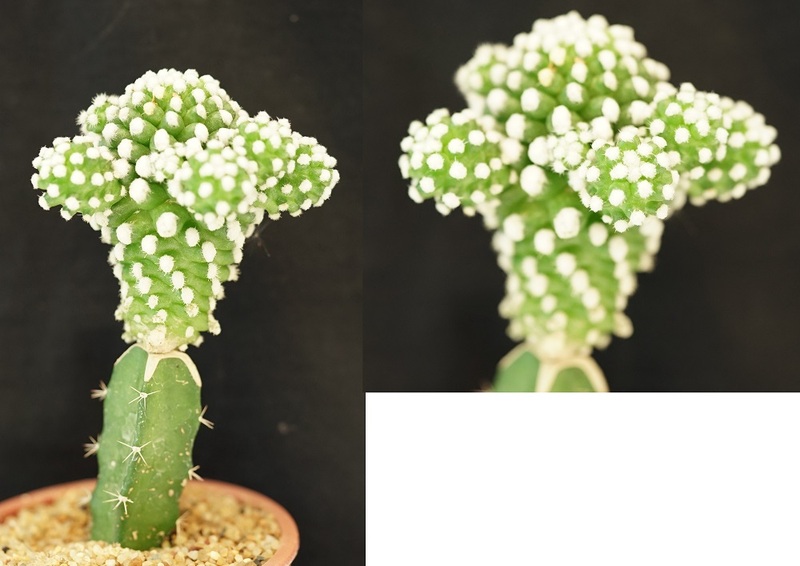 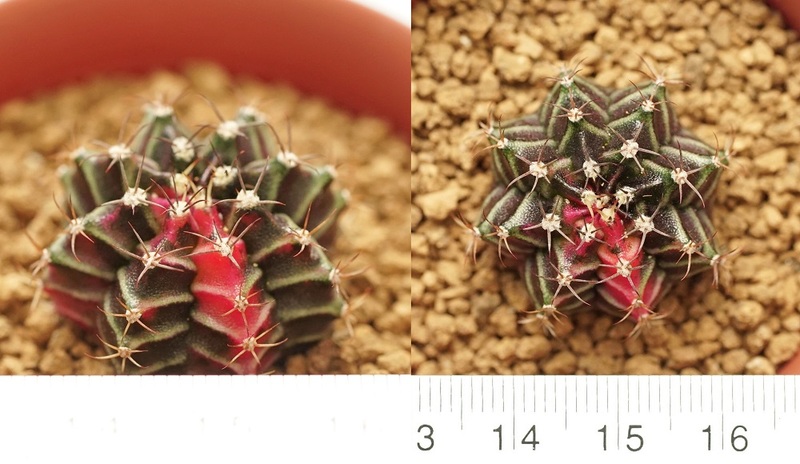 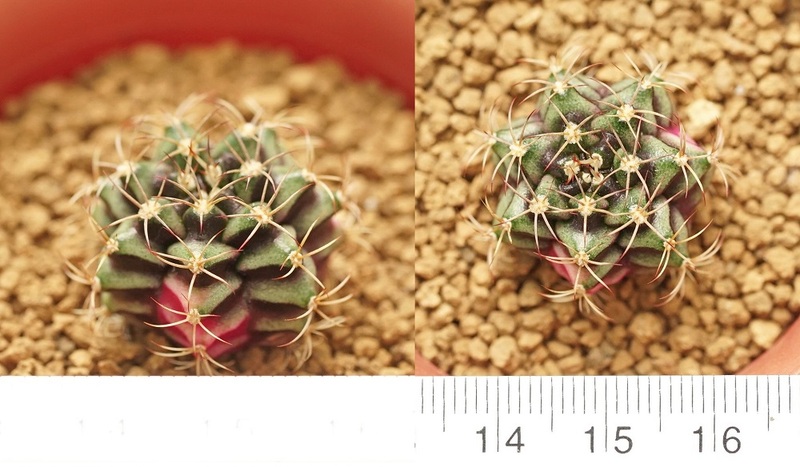 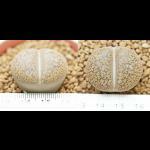 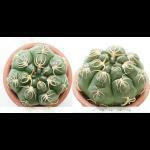 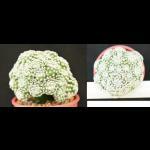 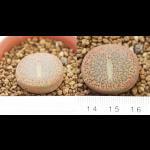 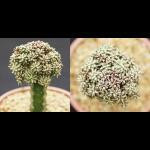 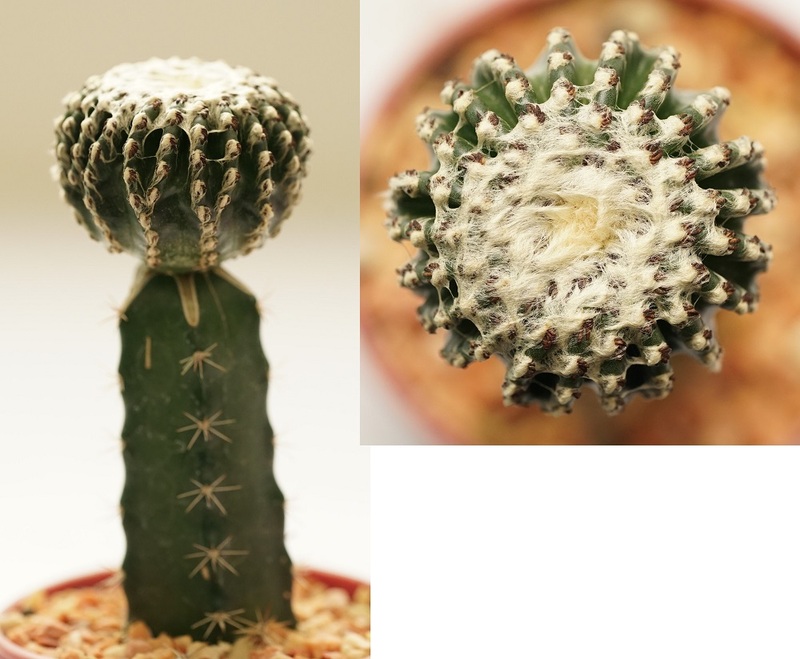 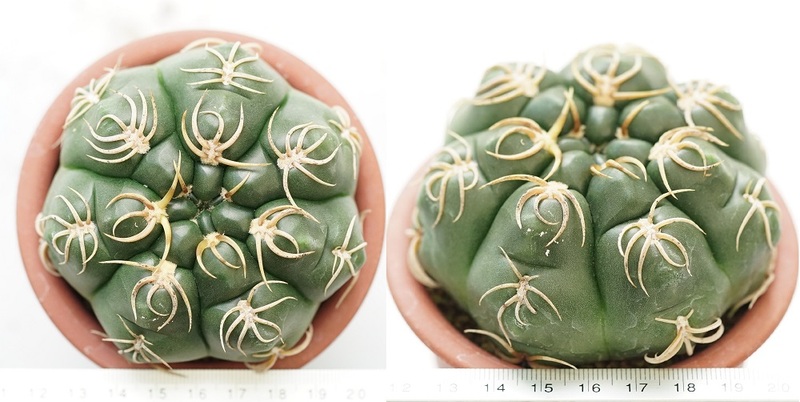 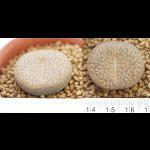 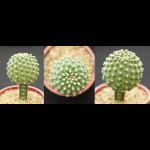 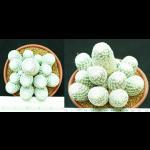 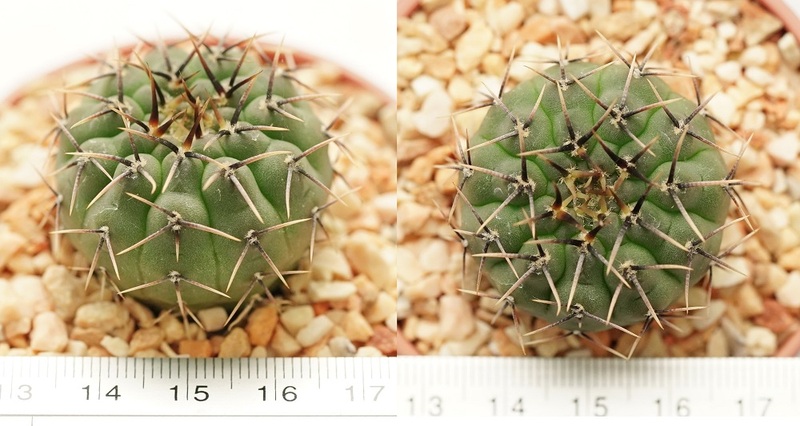 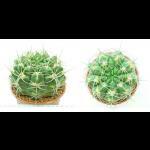 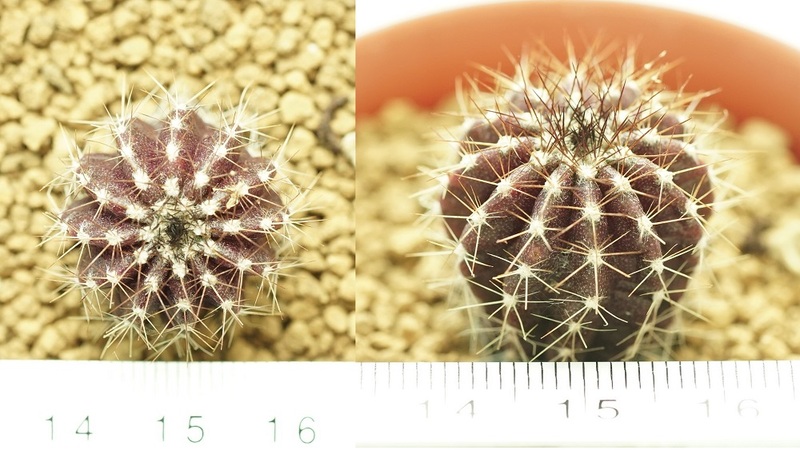 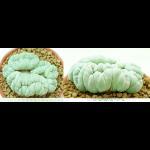 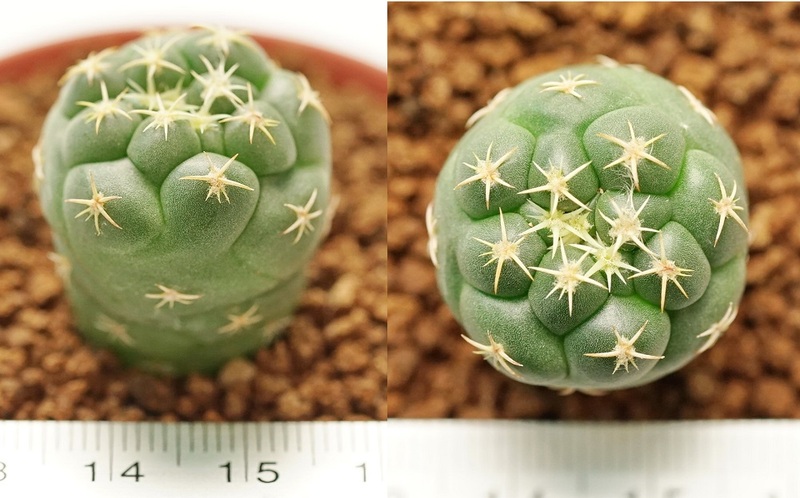 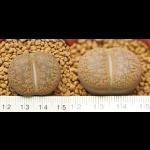 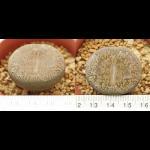 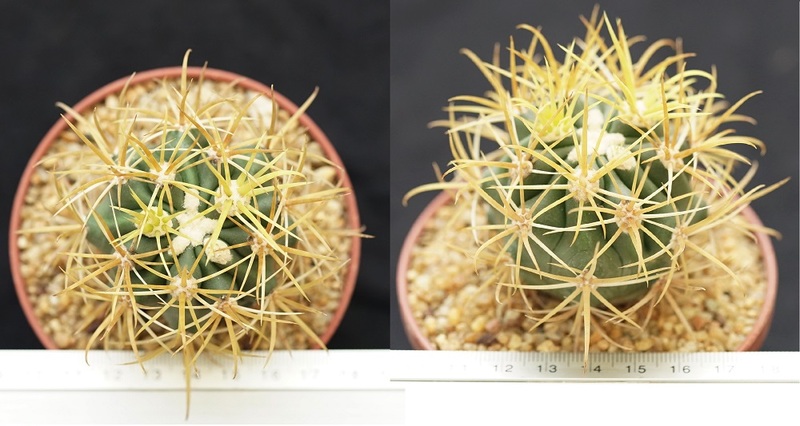 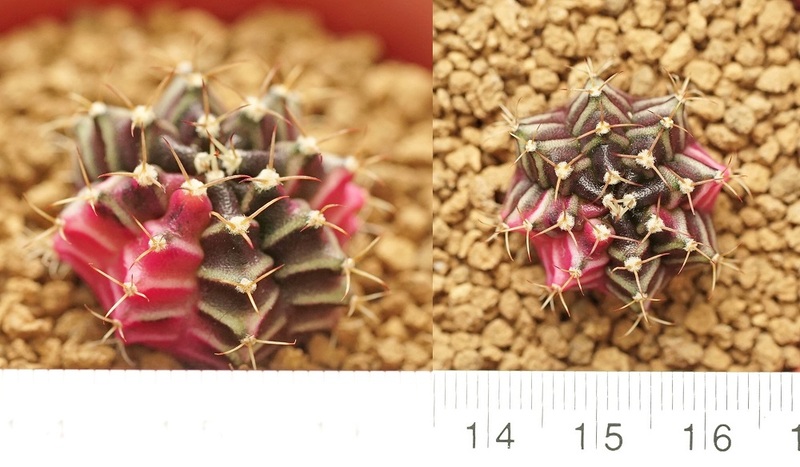 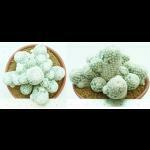 Detail:: Gymnocalycium kieslingii albispinum ราคา 4,500.- high=16cm.